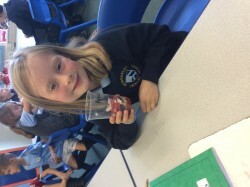 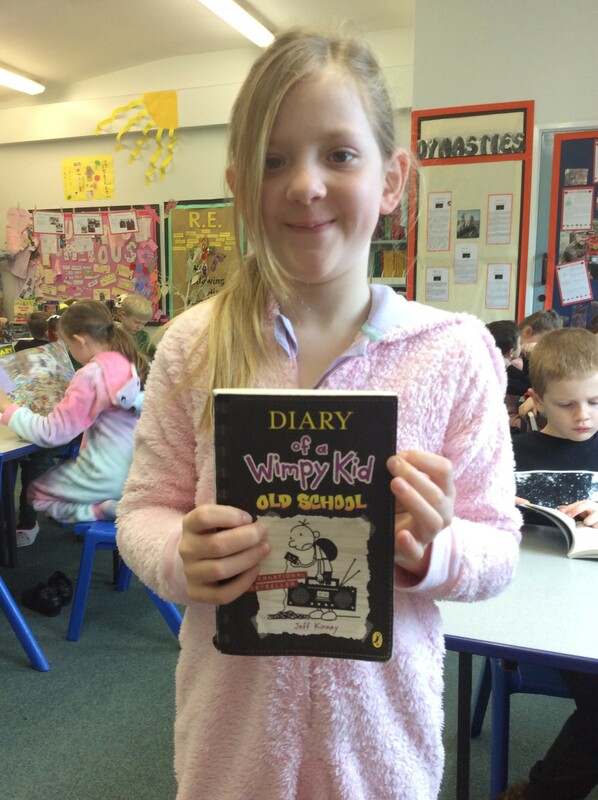 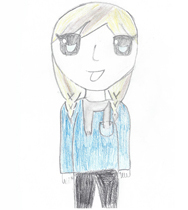 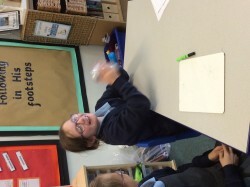 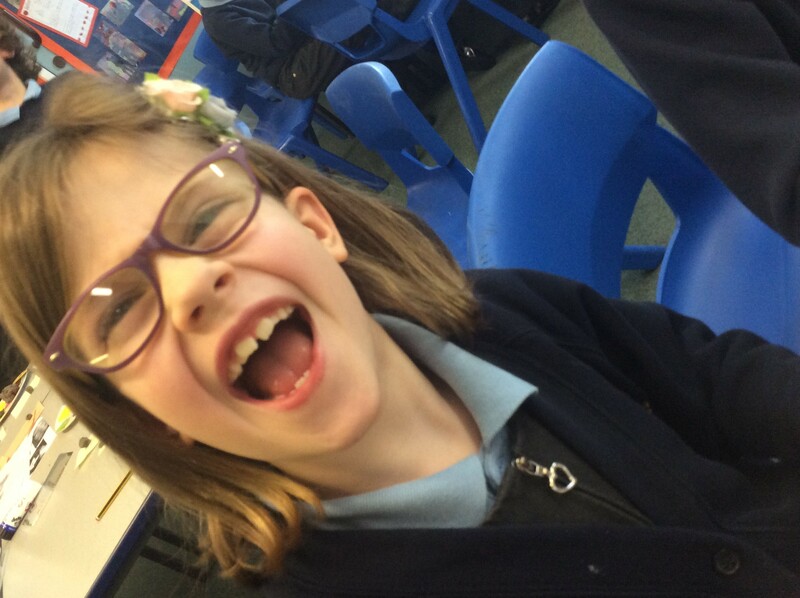 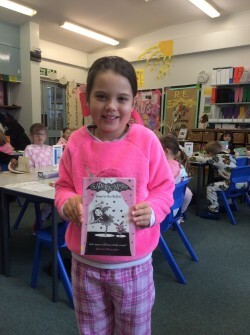 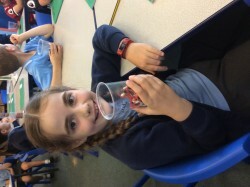 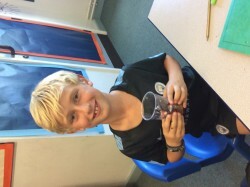 My name is Miss Whalley and I teach Year Three at Mobberley. Our Cornerstones topic for Spring Term 2 is Scrummdiddlyumptious! 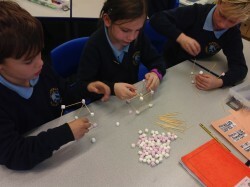 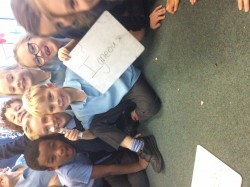 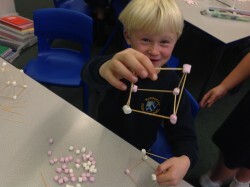 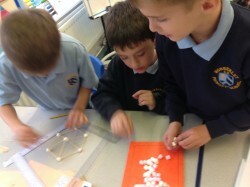 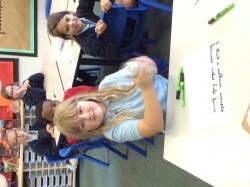 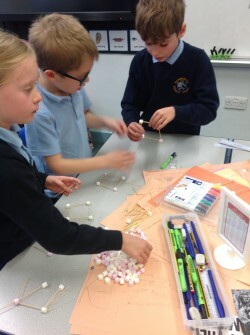 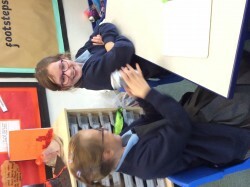 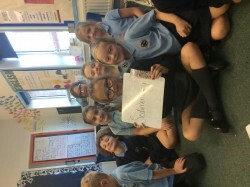 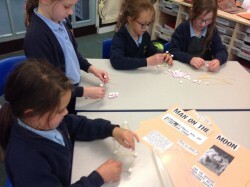 Your home learning over half term to prepare for our topic was- as always- fantastic. I really enjoyed seeing what you had been up to and your friends in our class loved seeing all of your wonderful work too! 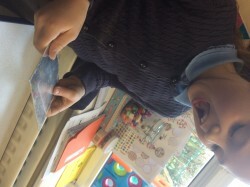 I am really excited about teaching Year 3 this year, and can’t wait to start our new Imaginative Learning Project! Have a look at our overview for Spring 2! 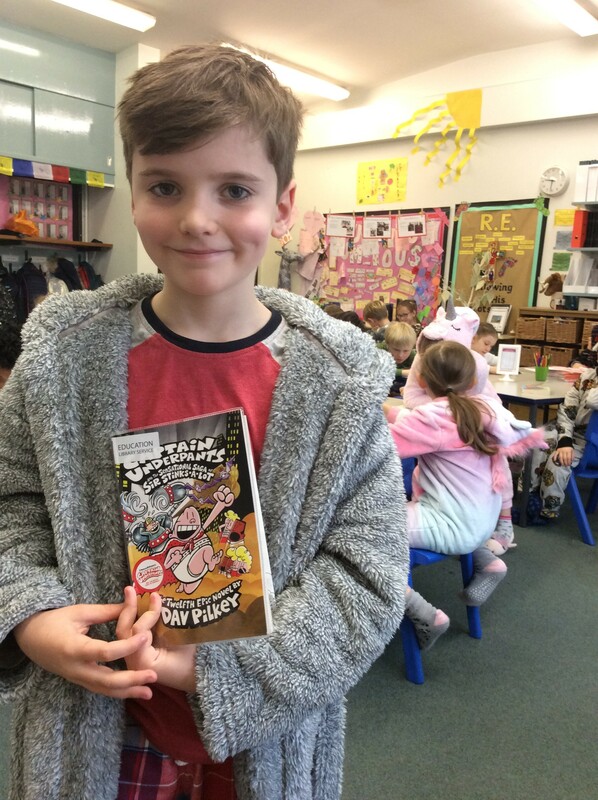 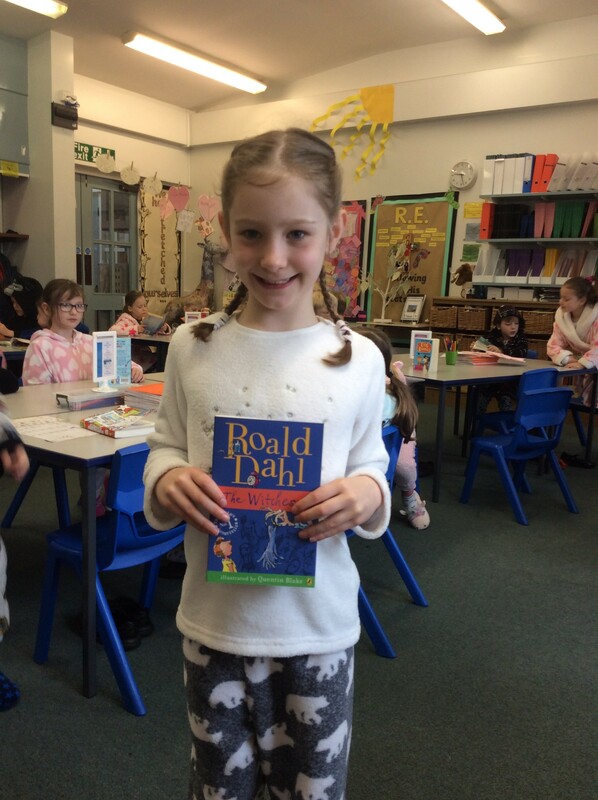 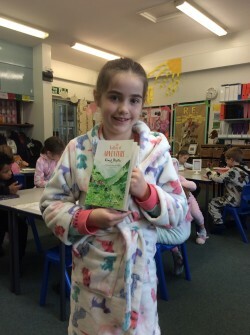 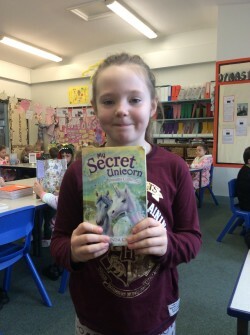 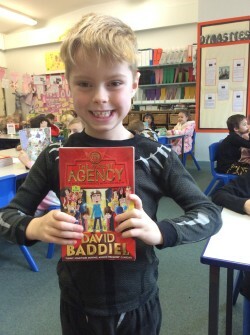 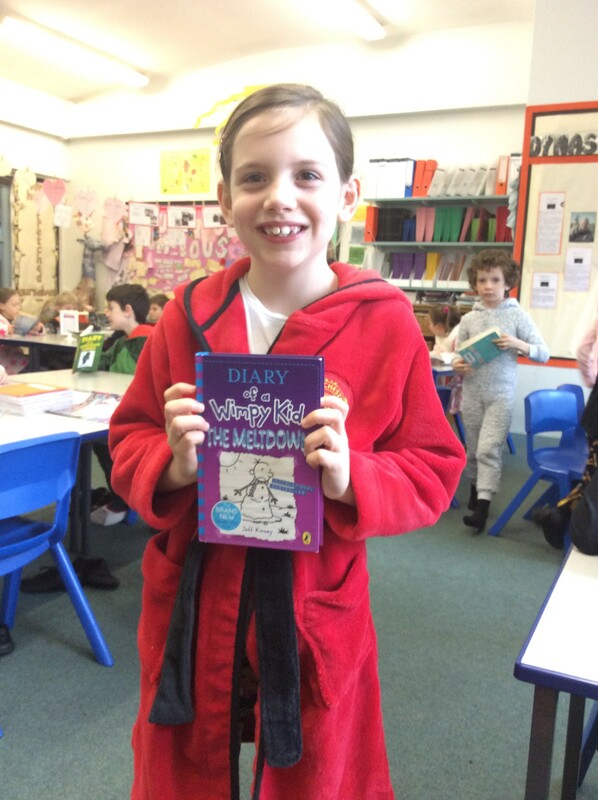 In Year Three, we read in class every day and have some wonderful helpers that also come in to read with us! 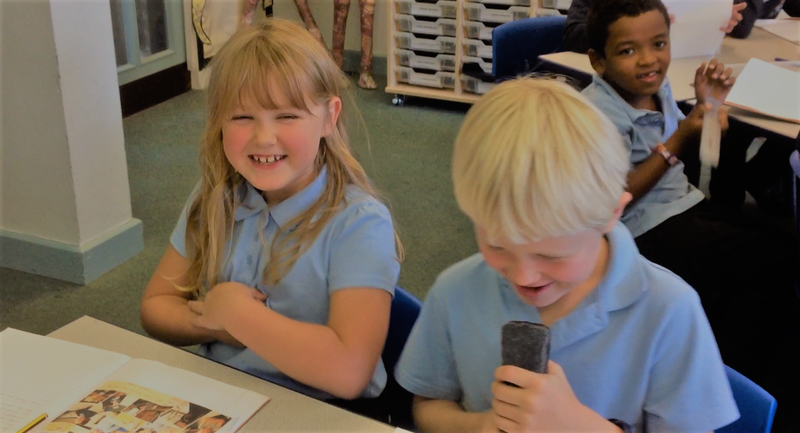 When we hear children read in school alongside building their phonetic skills we also support their comprehension skills. 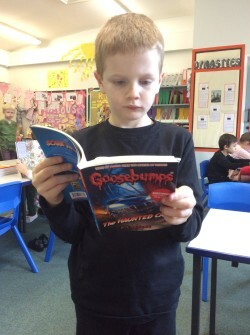 Although we do read lots at school, it’s also important to read at home too! 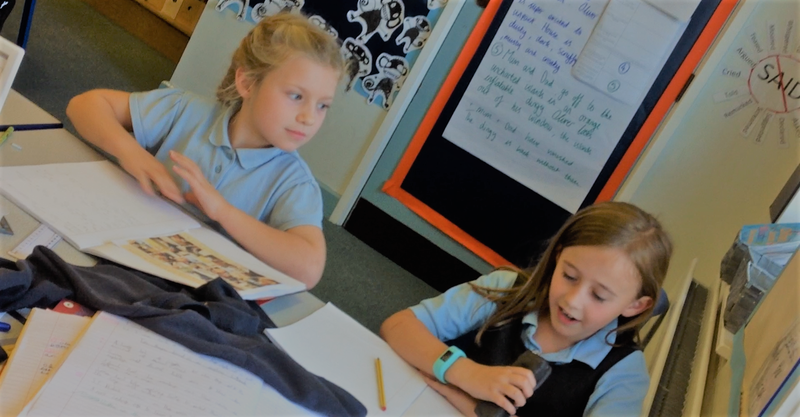 Below you will find a list of possible questions to help you with conversations about your child’s reading. 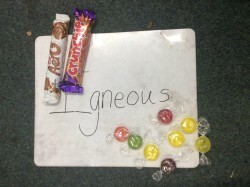 Use them at your discretion and where they are appropriate to encourage your child’s comprehension. Wow! What a fantastic day! 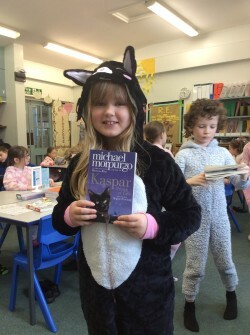 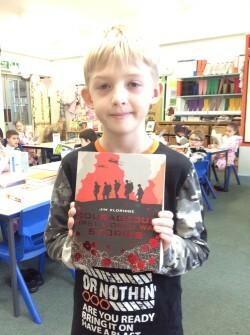 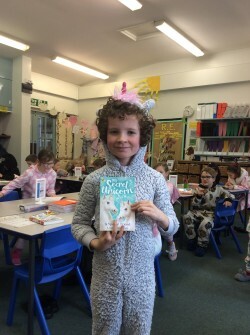 This year the theme for World Book Day is ‘Snuggle up and Share a Story’. 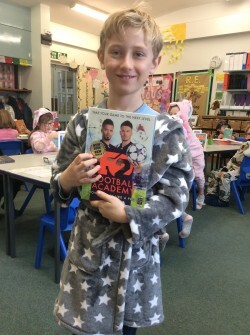 This meant that we could all come into school in our pyjamas! We had such a fun day and all got to share our favourite books with one another. 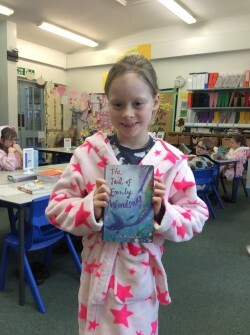 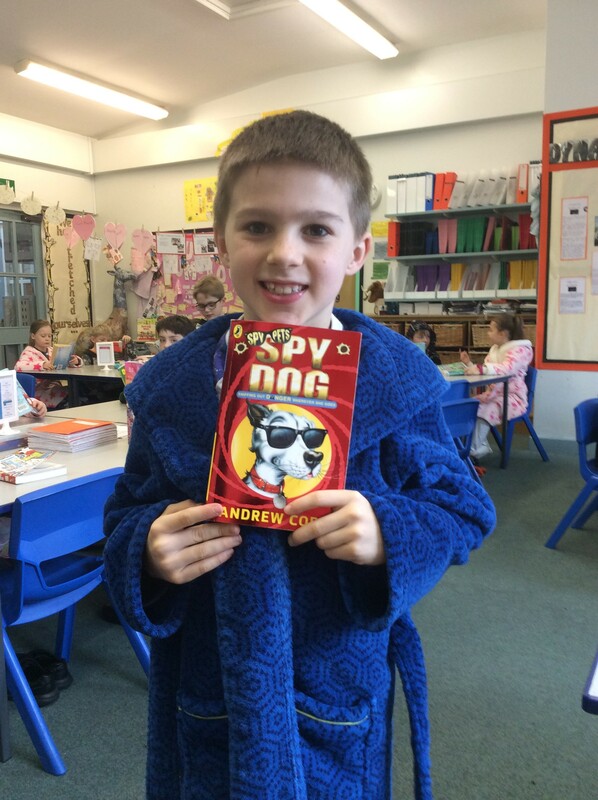 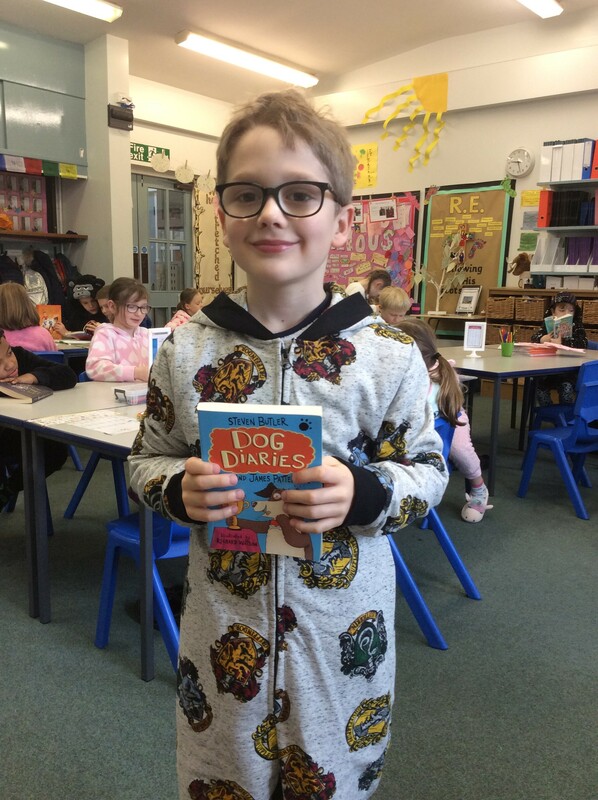 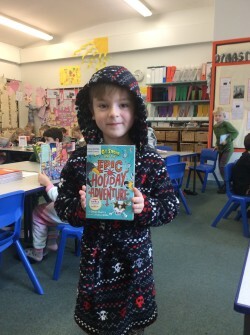 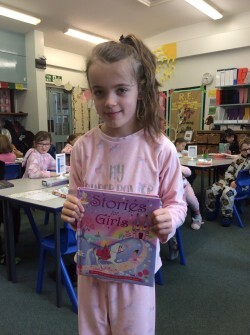 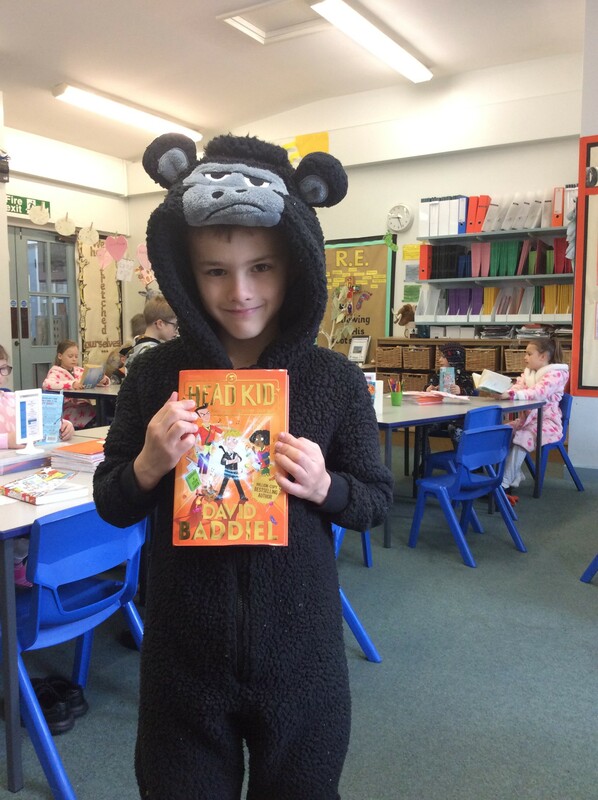 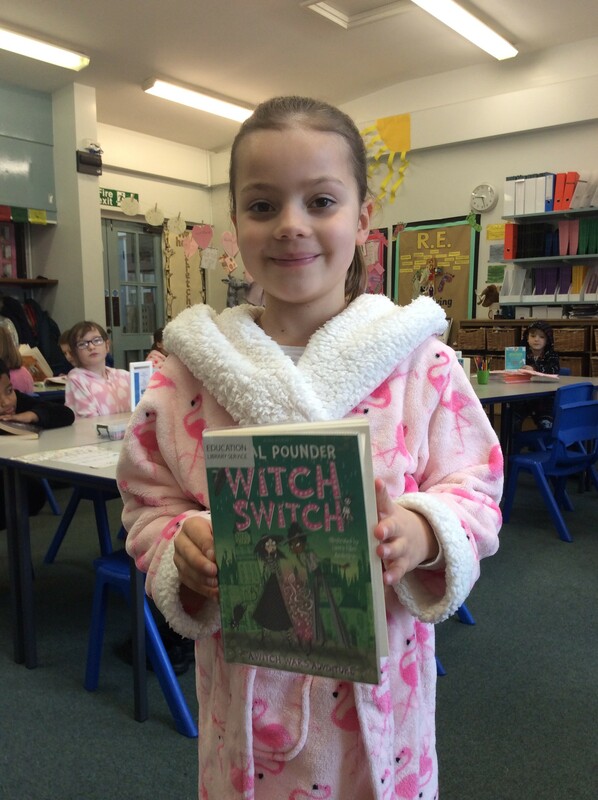 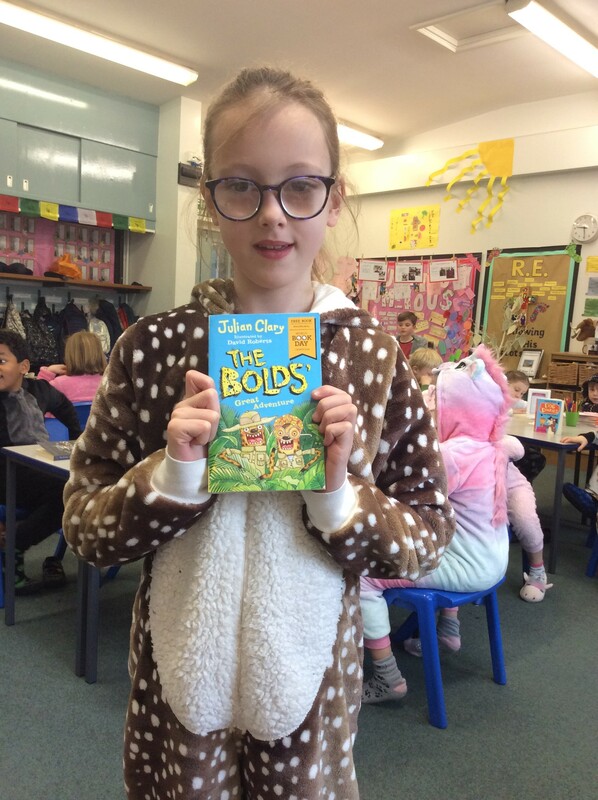 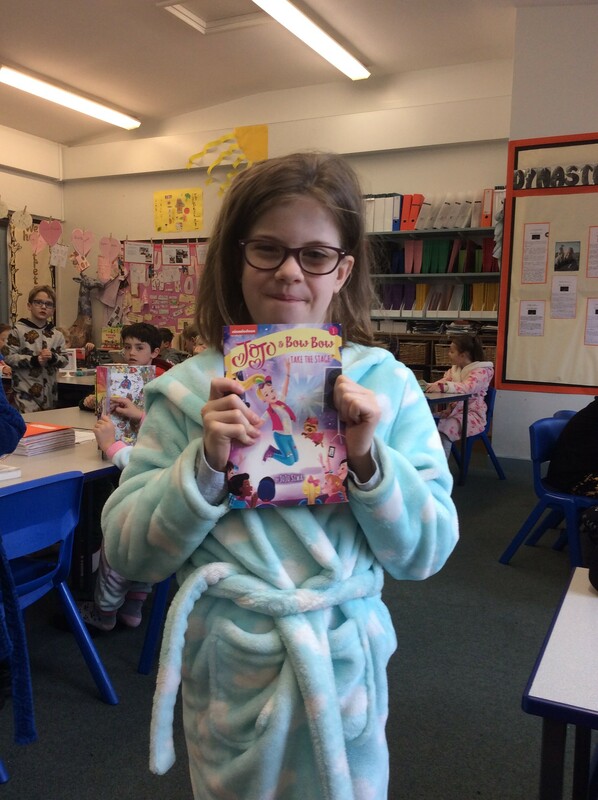 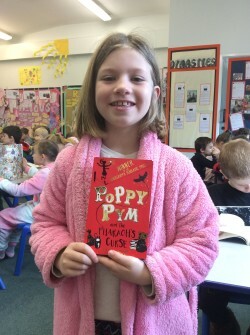 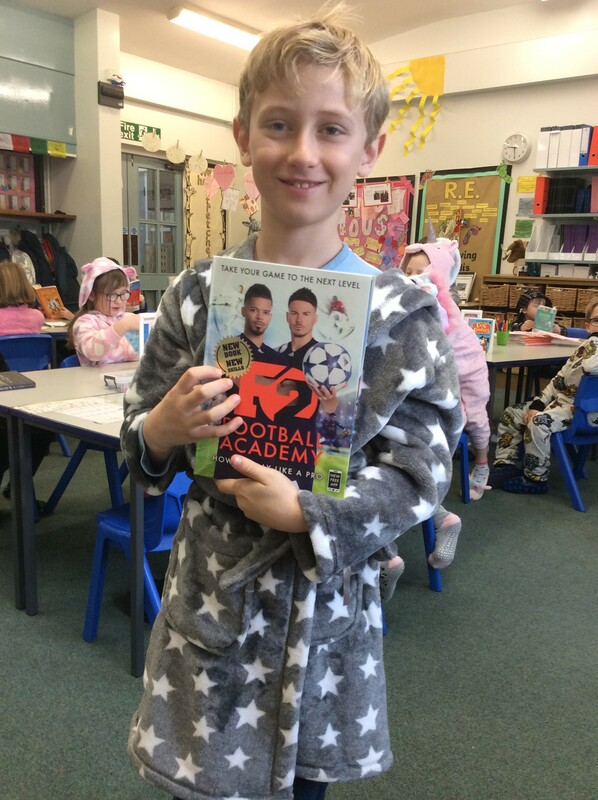 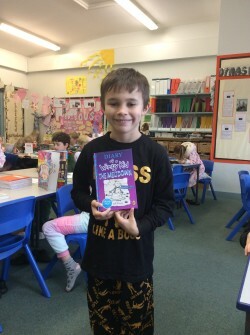 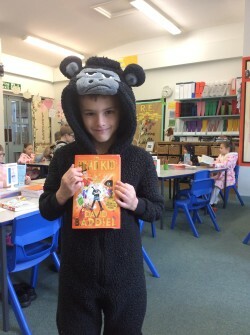 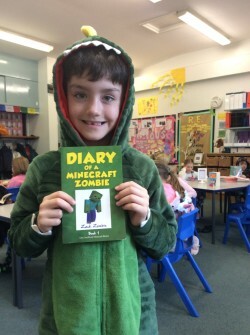 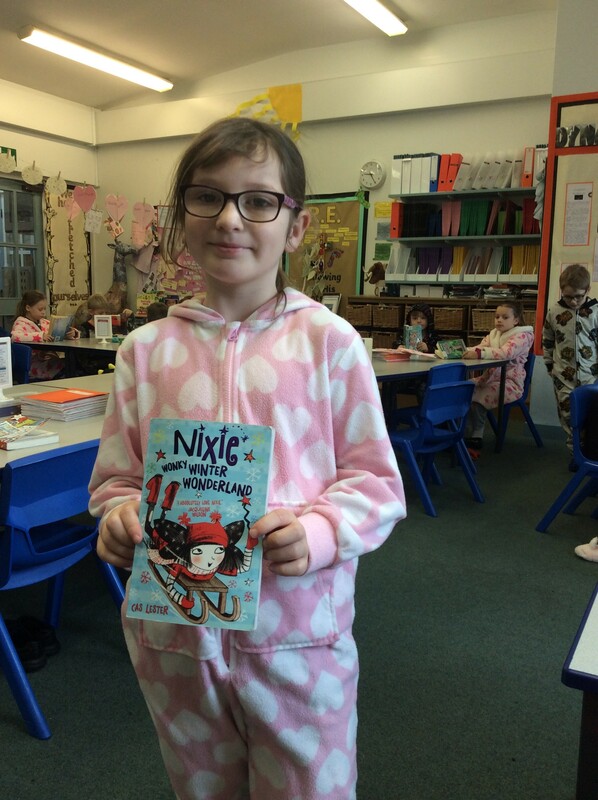 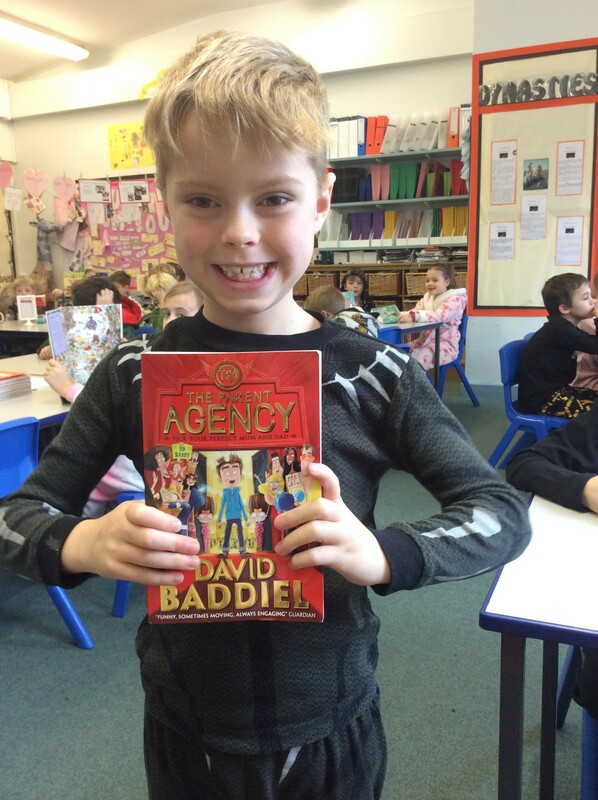 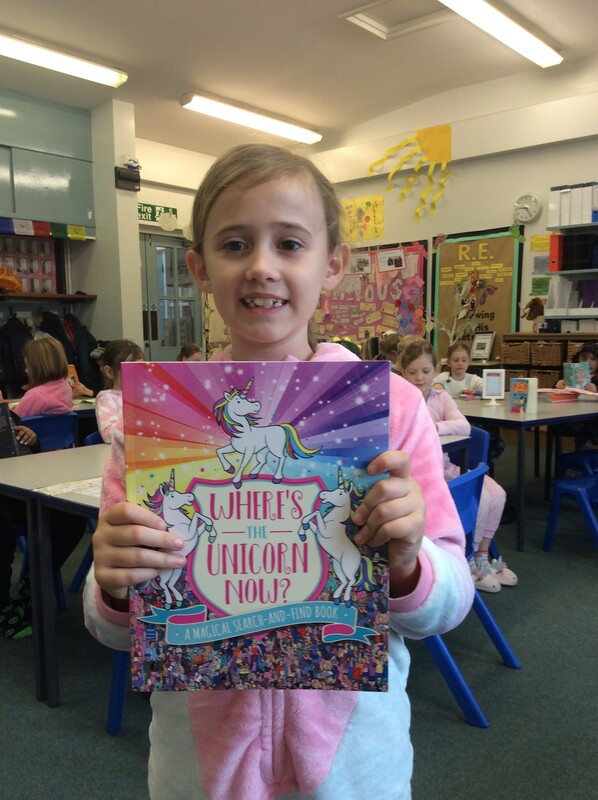 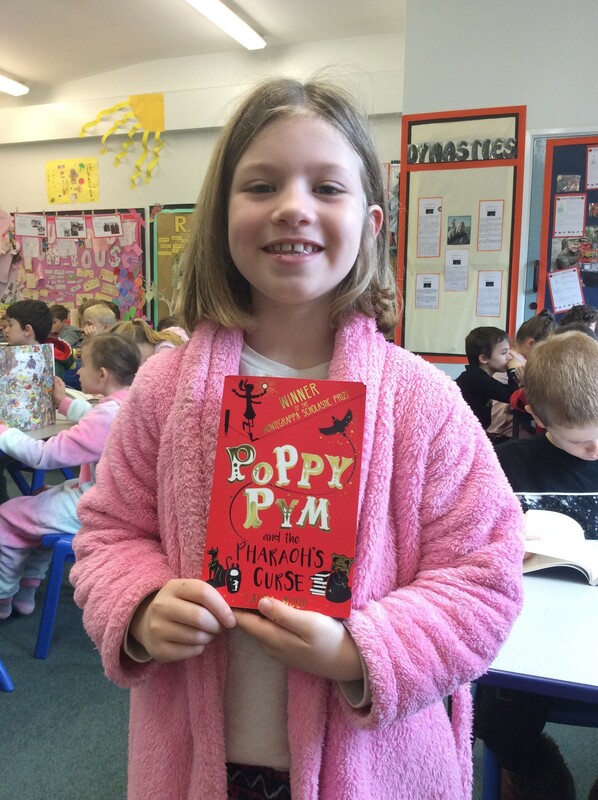 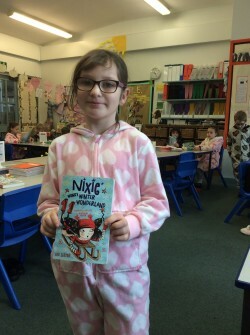 Have a look at the books we chose (and our lovely PJ’s too) below! 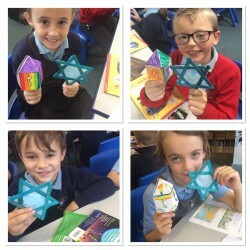 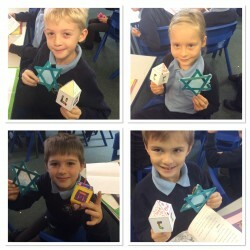 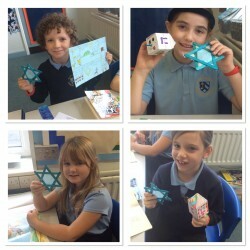 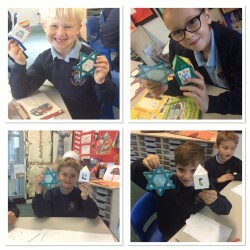 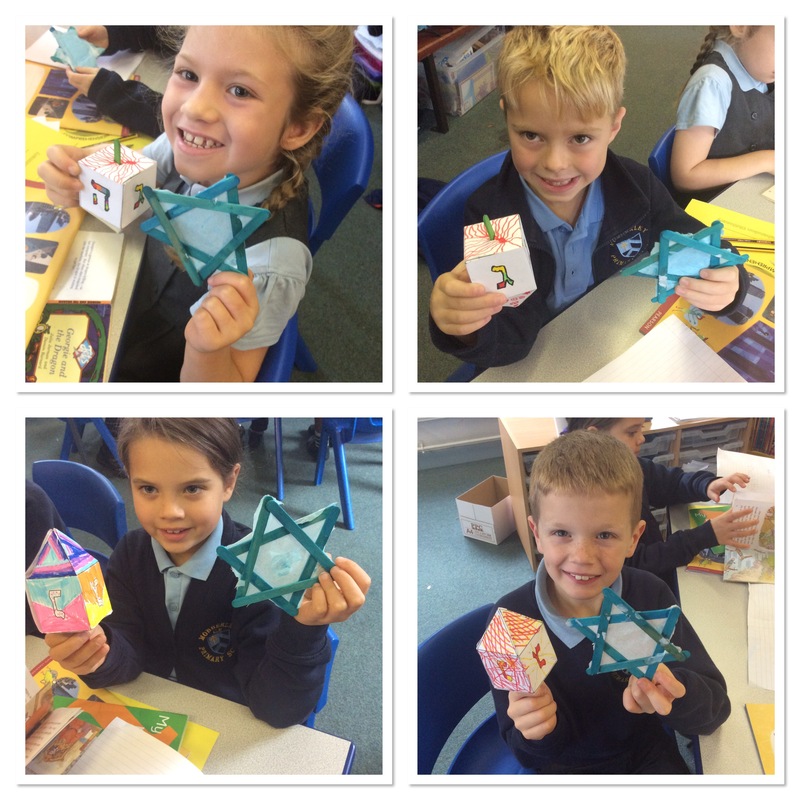 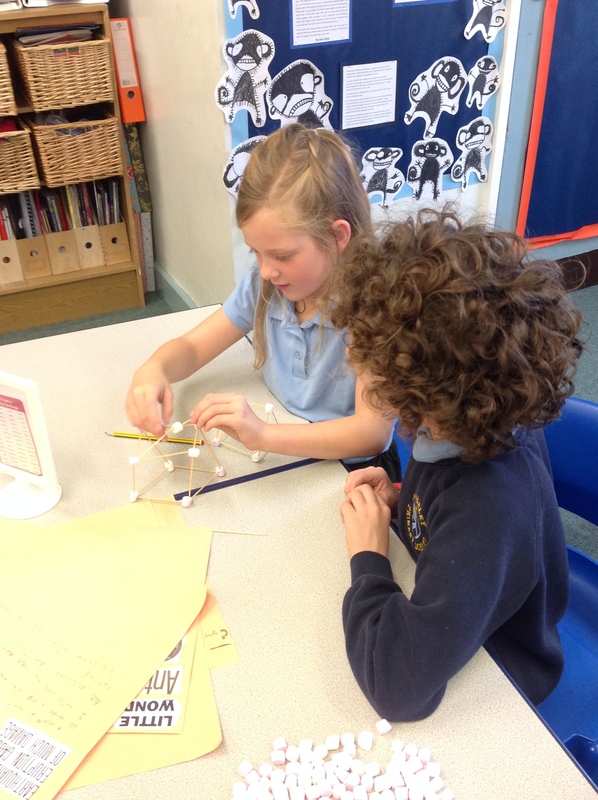 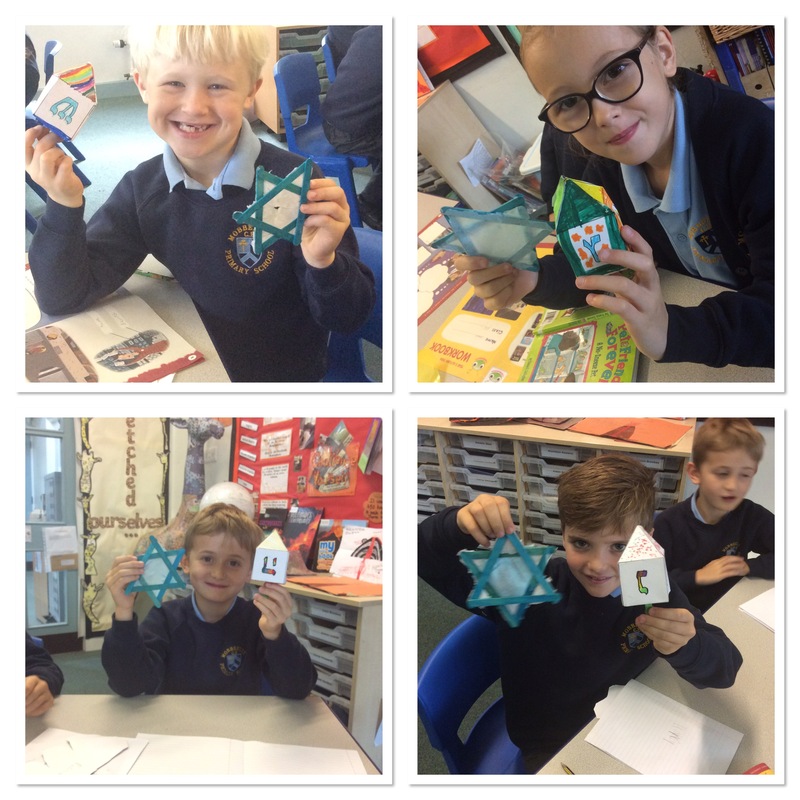 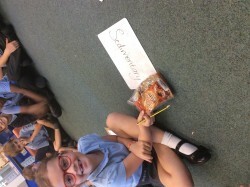 Year Three had a brilliant day focussing on Judaism and learning all about the Jewish festival of Hanukkah. 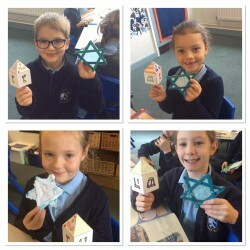 We learnt the story of Hanukkah and created some fabulous comic strips to retell the special story. 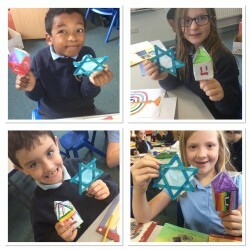 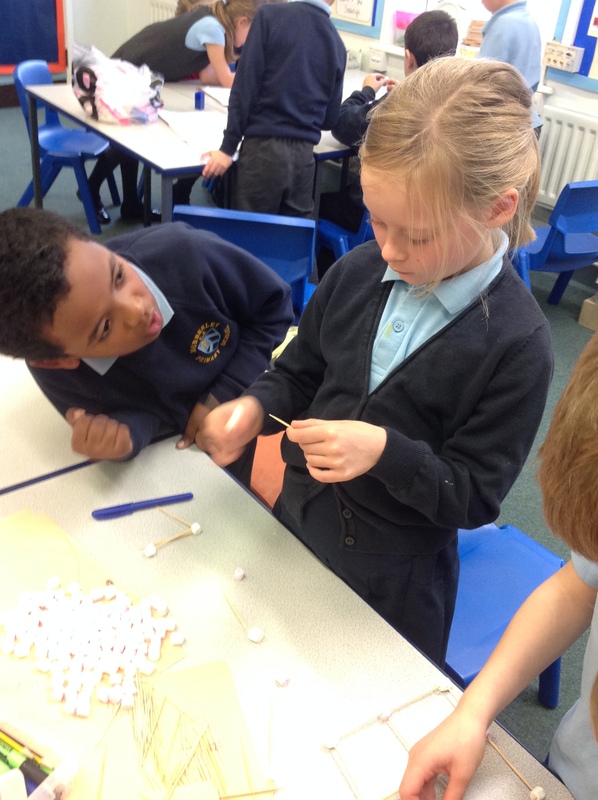 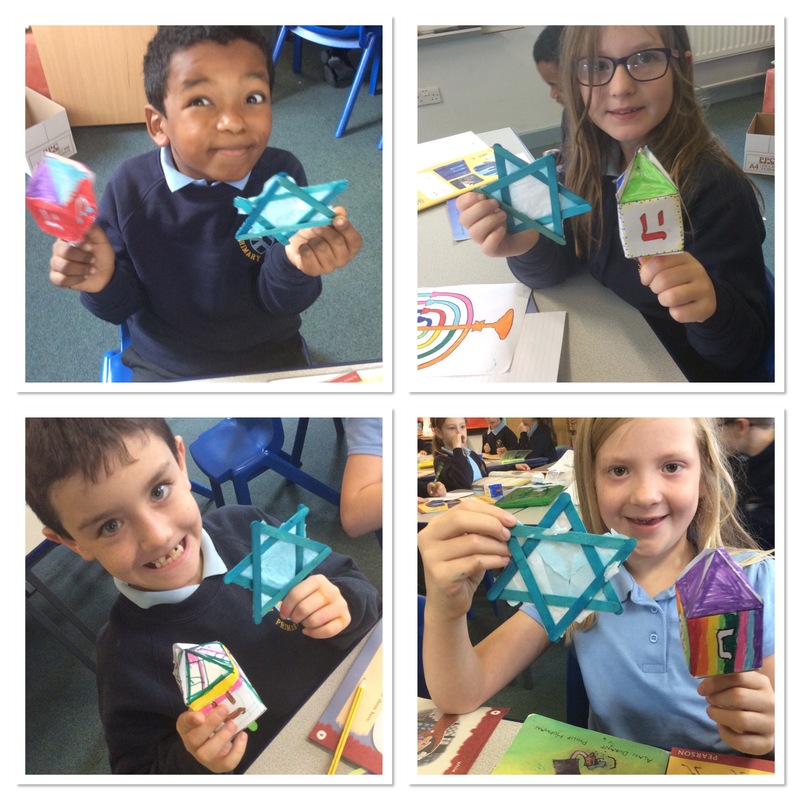 We also had lots of fun making dreidels and playing a traditional Jewish game with them before creating some amazing Star of David’s from lollypop sticks. 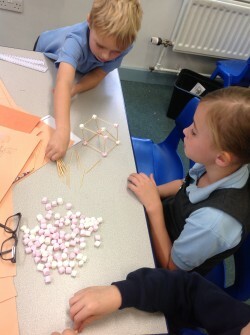 We loved sharing our day’s learning and creations with the rest of the school at the end of the day. We’re really excited for our Scrummdiddlyumptious topic! 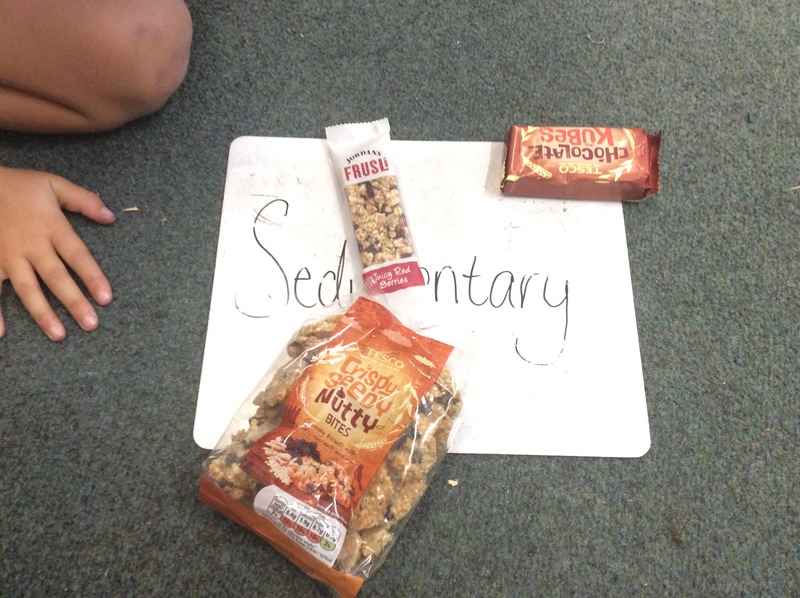 We are going to be looking at Fair Trade food and what makes food healthy. 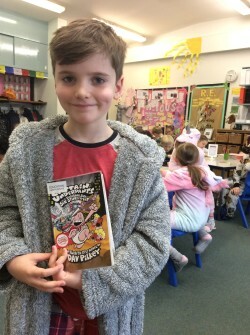 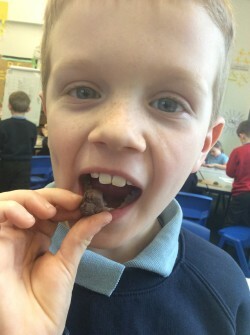 We’re also going to be learning about the history of CHOCOLATE whilst reading our book for this half term in English- Charlie and the Chocolate Factory! 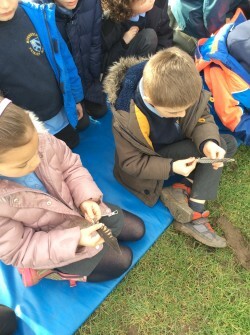 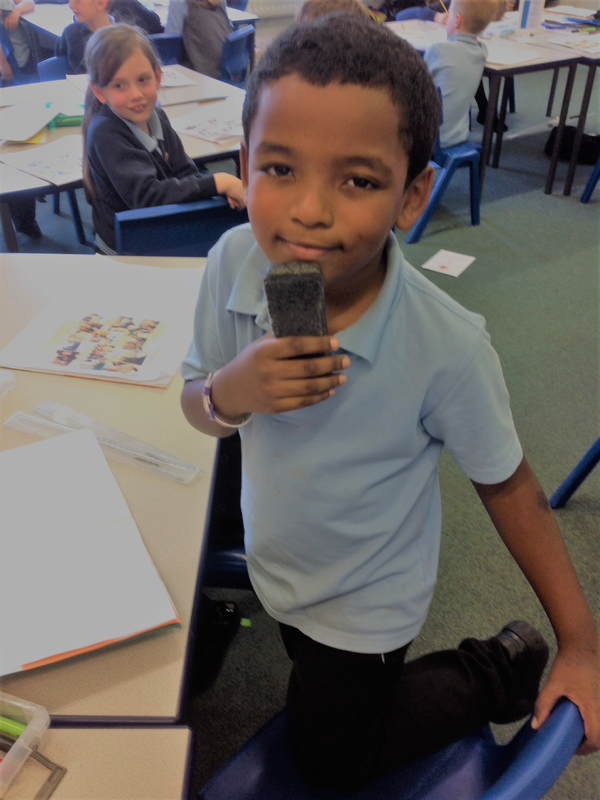 We have been learning all about keeping ourselves healthy- including our teeth.We had a look at how astronauts brush their teeth in space and also looked at an antique toothbrush! We researched what people may have used before toothbrushes and even looked at what might happen if we didn’t brush our teeth! 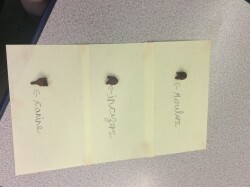 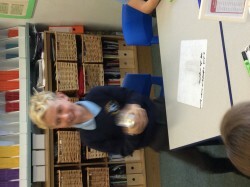 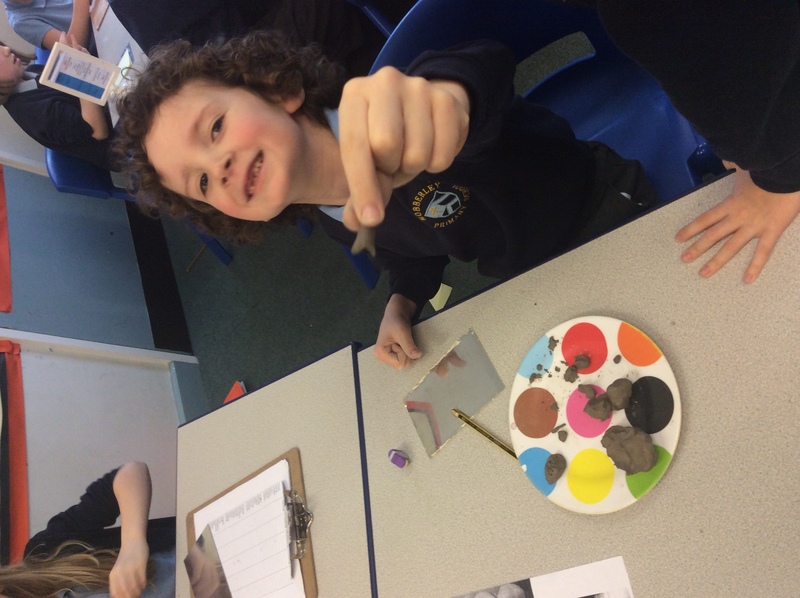 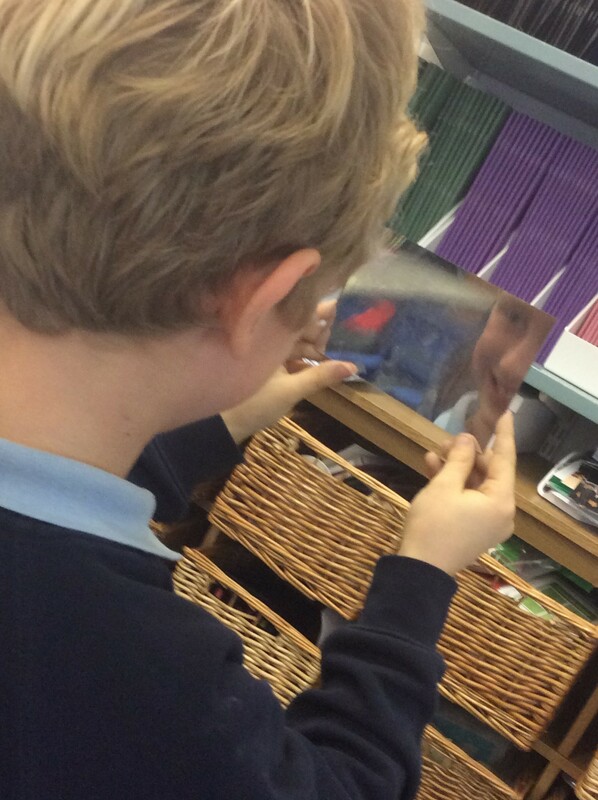 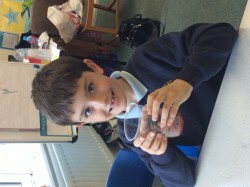 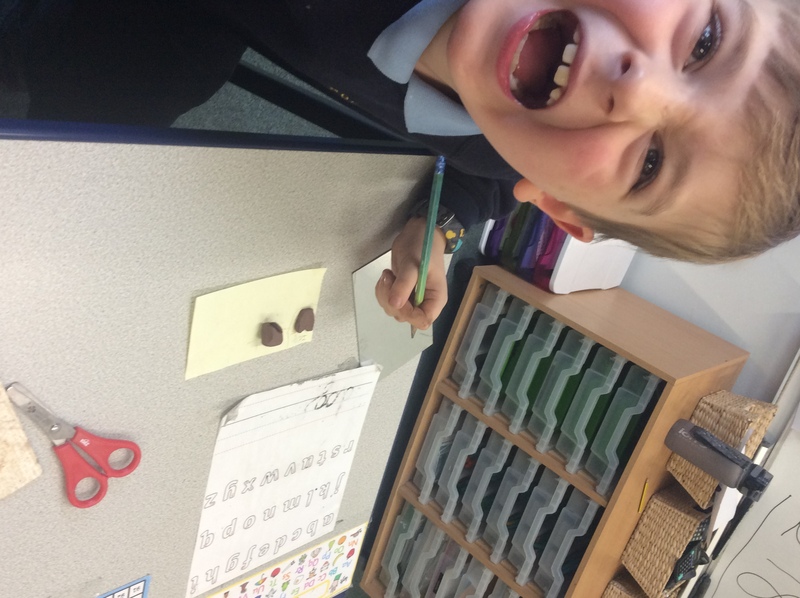 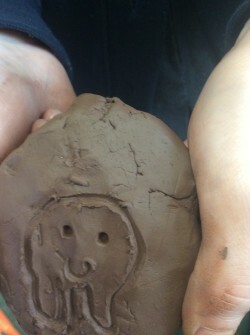 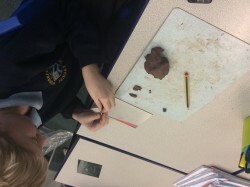 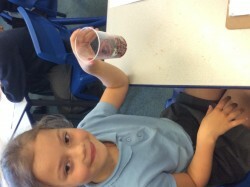 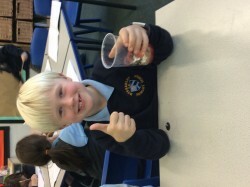 We looked at our own teeth using a mirror before creating our own models out of clay and labelling each tooth type. 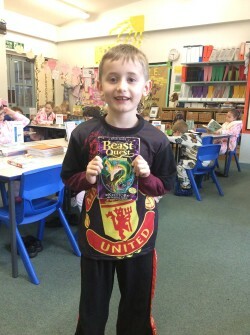 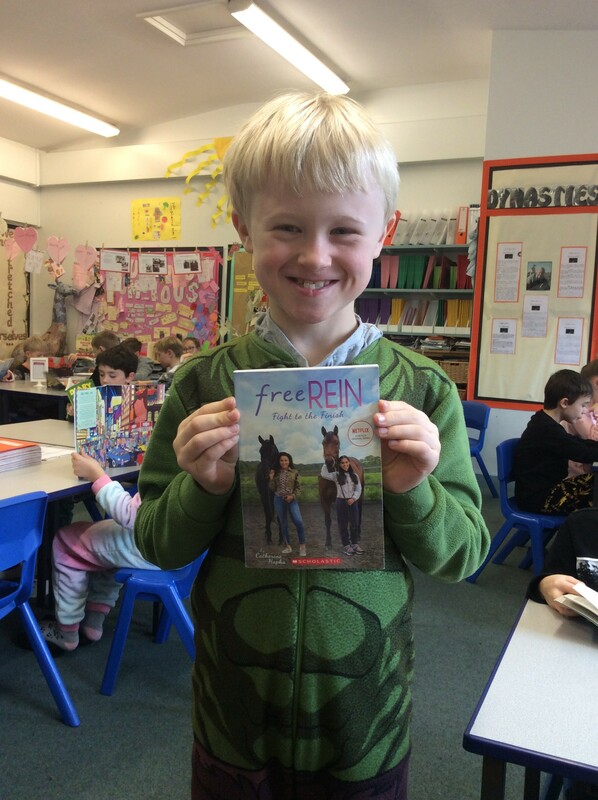 This half term our topic has been ‘Predator!’. 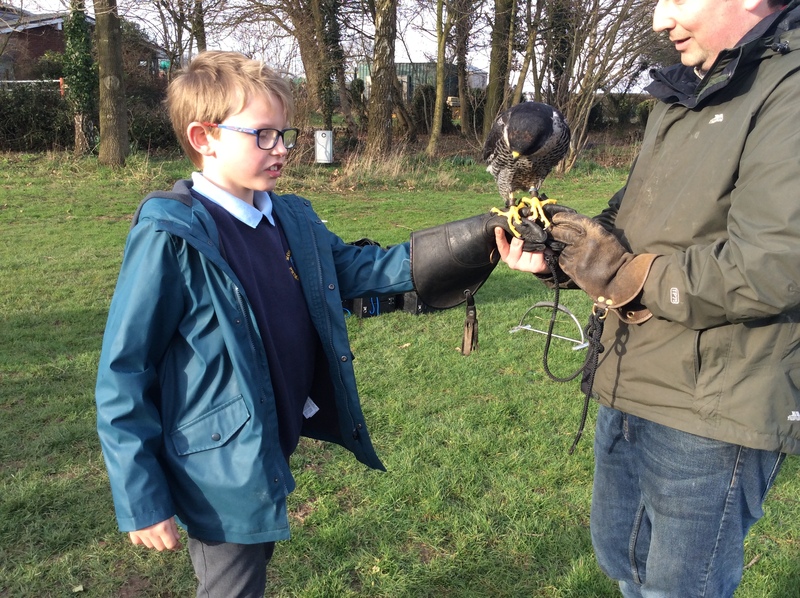 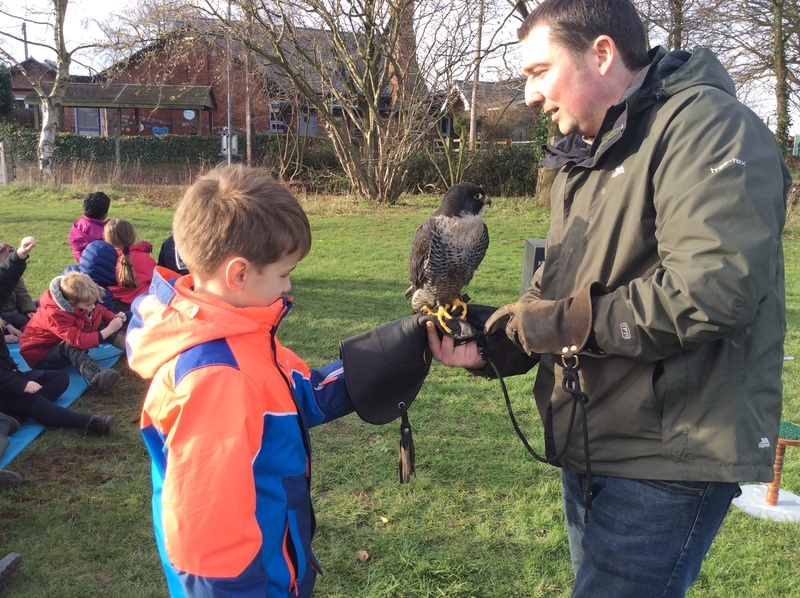 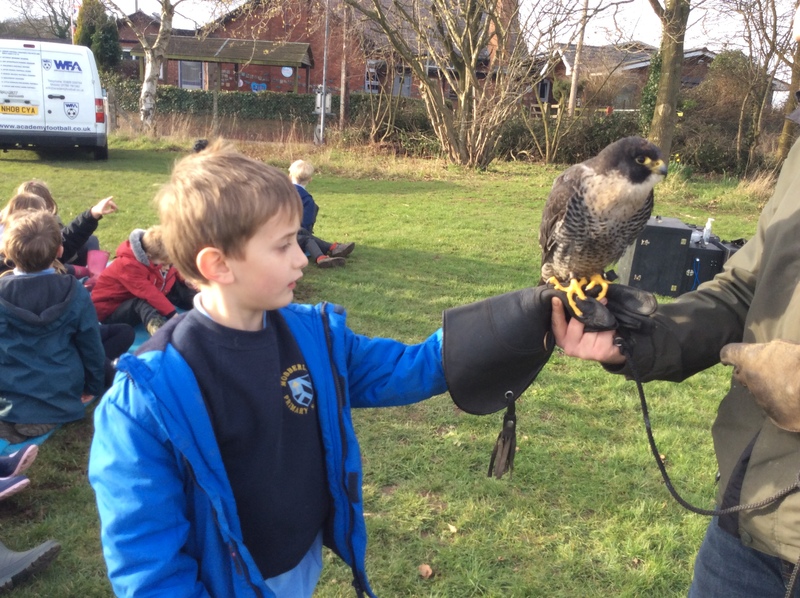 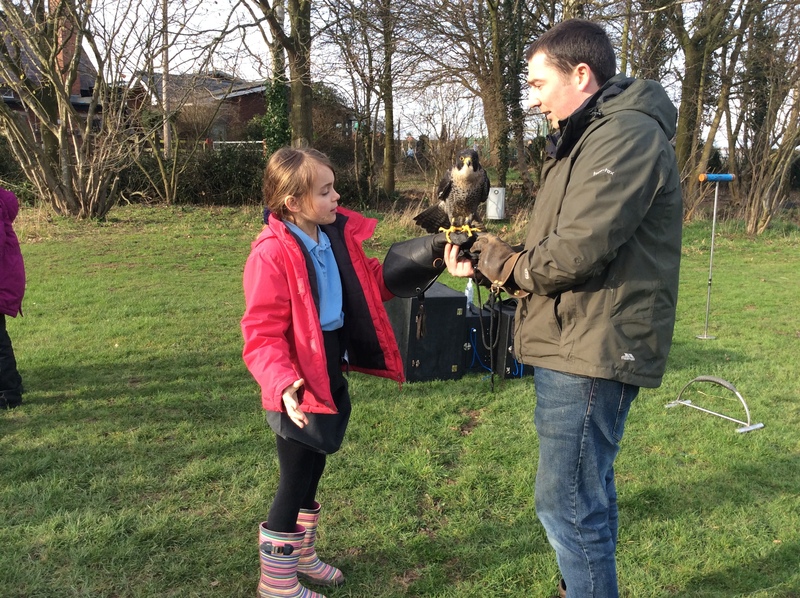 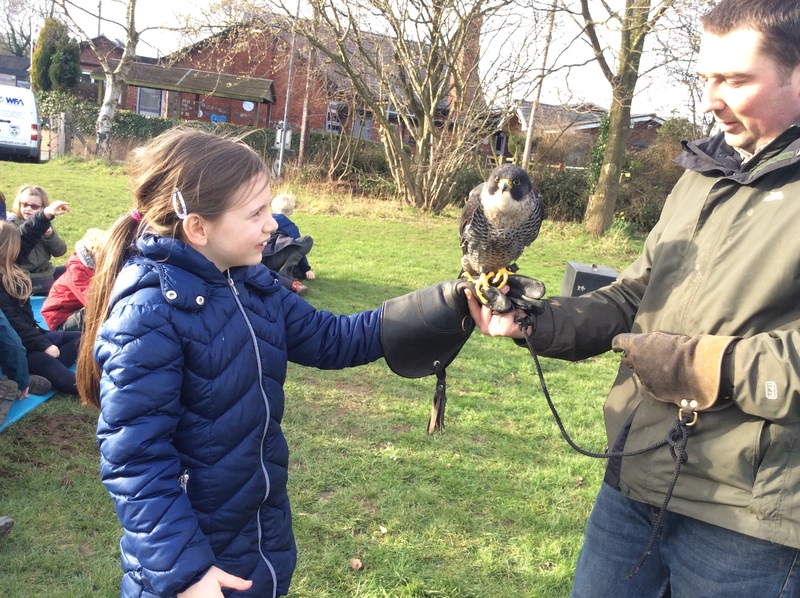 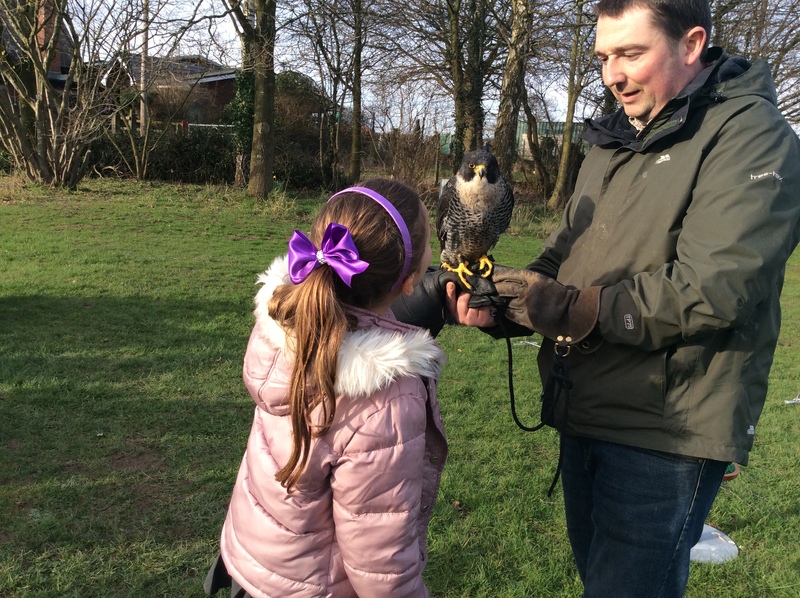 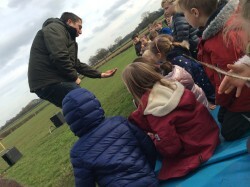 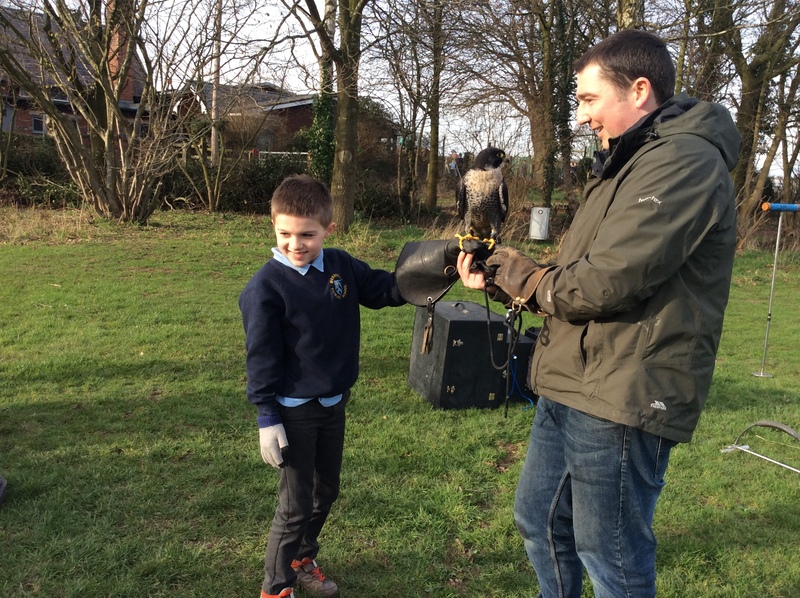 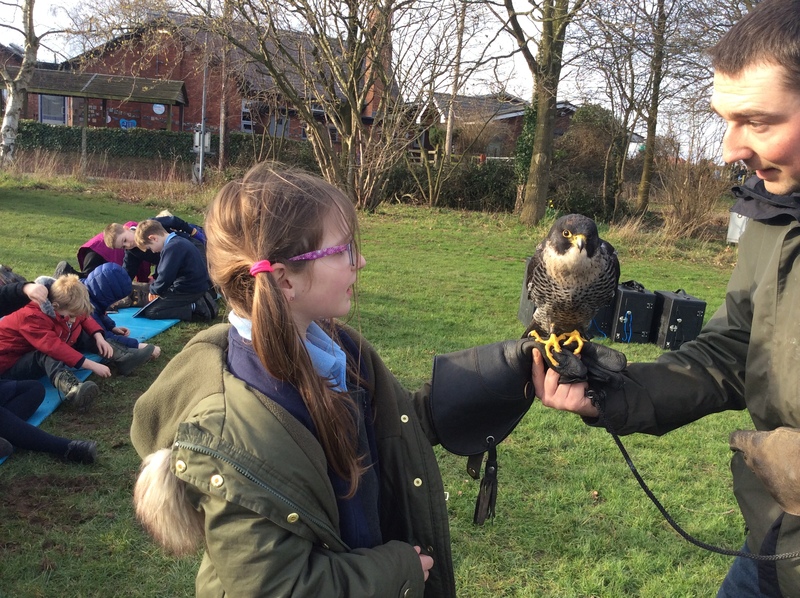 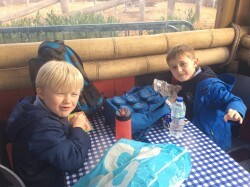 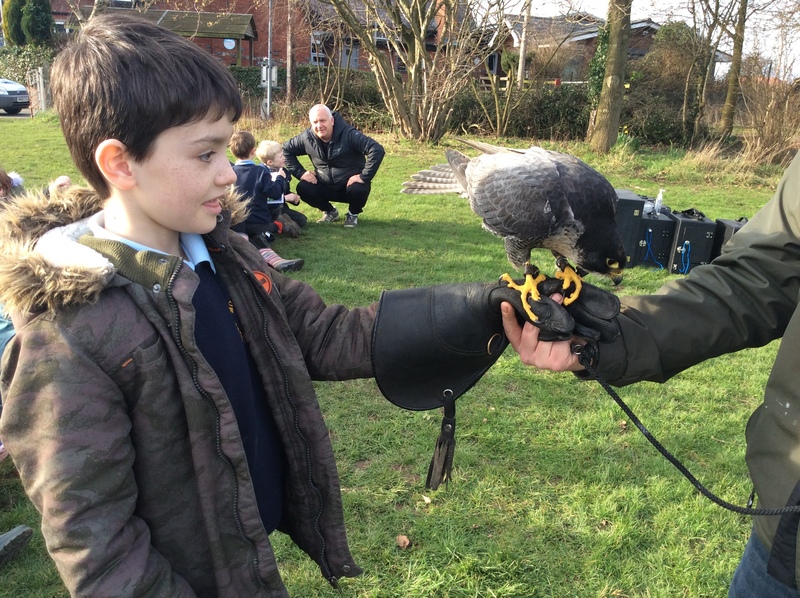 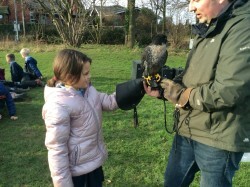 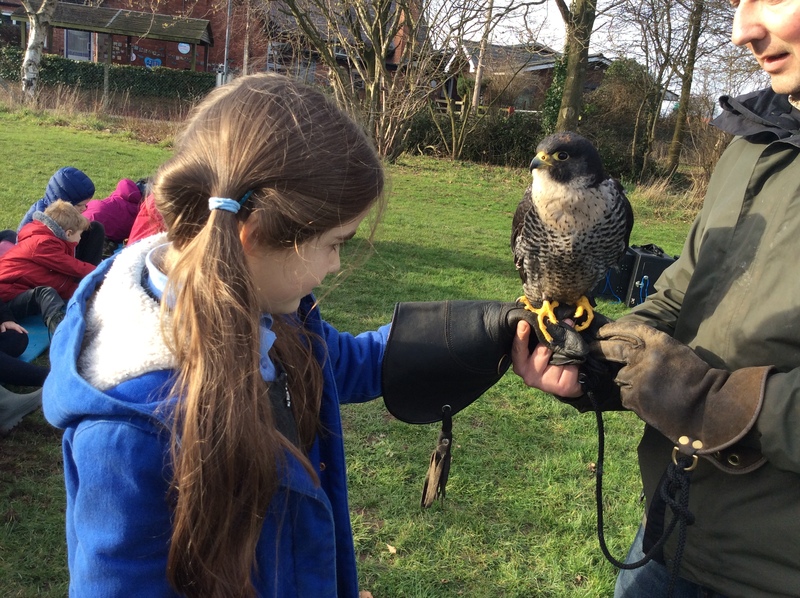 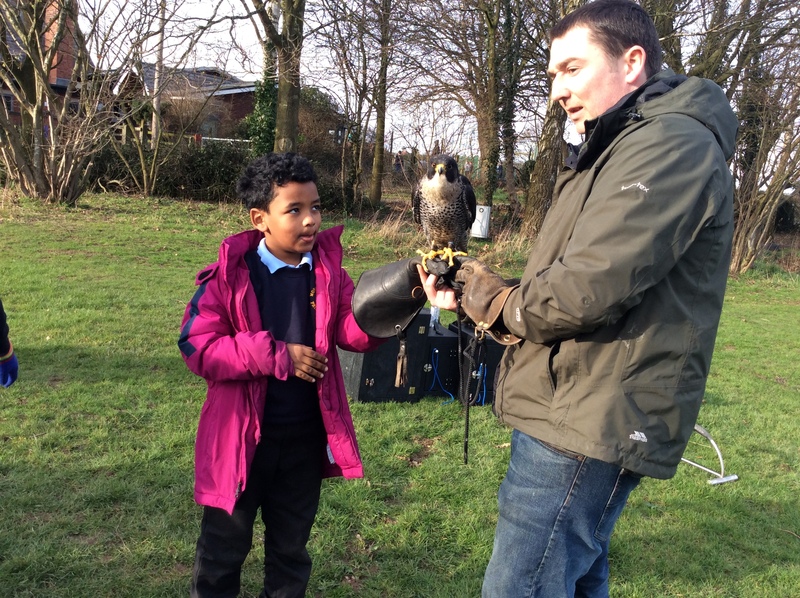 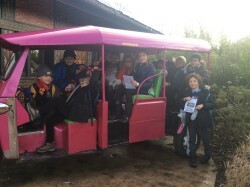 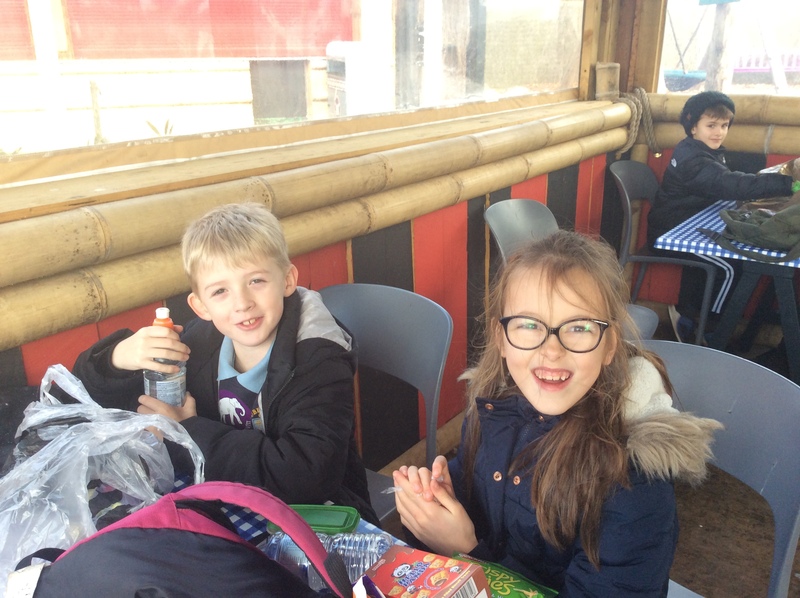 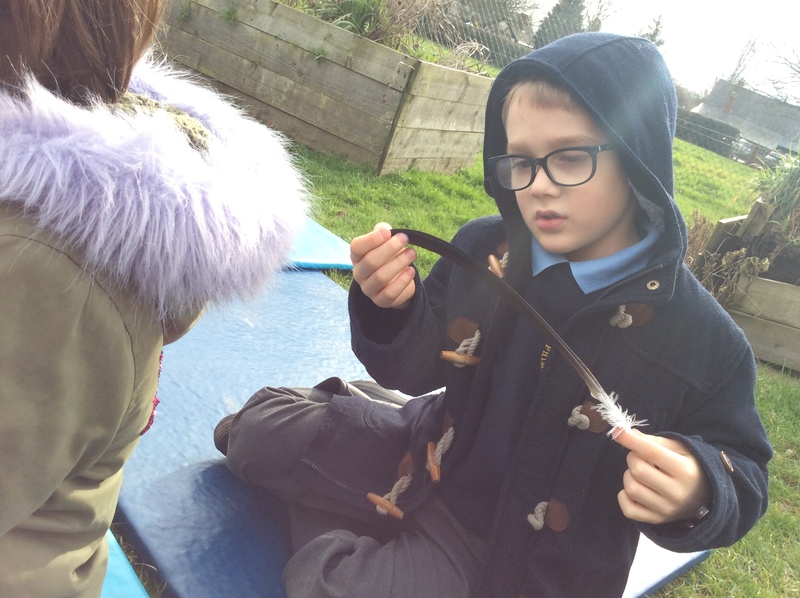 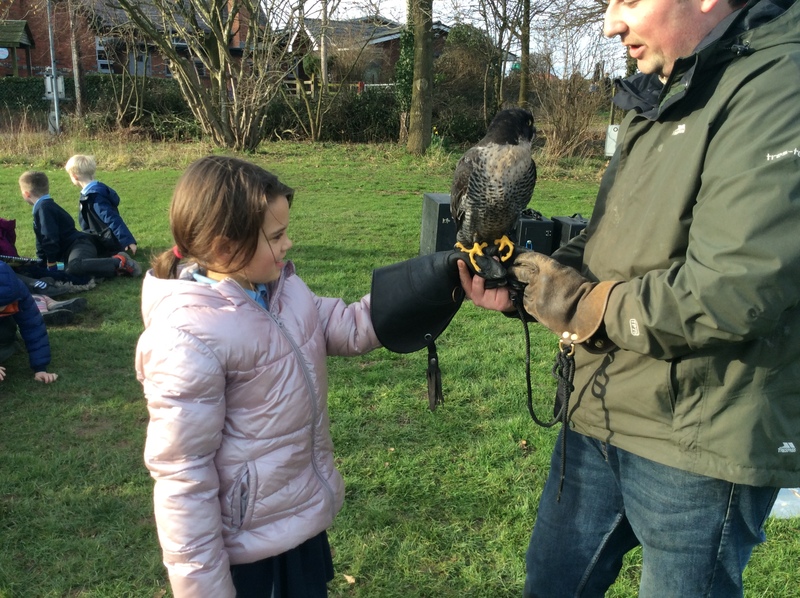 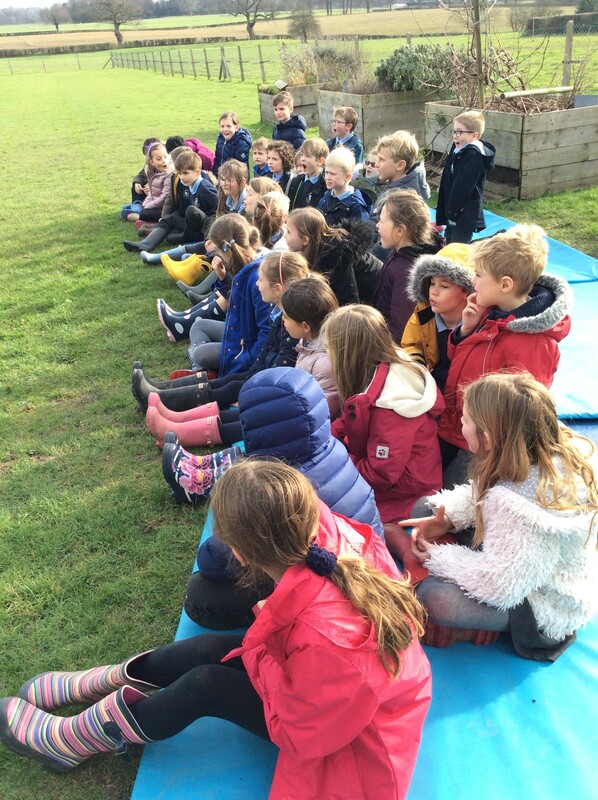 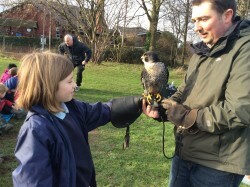 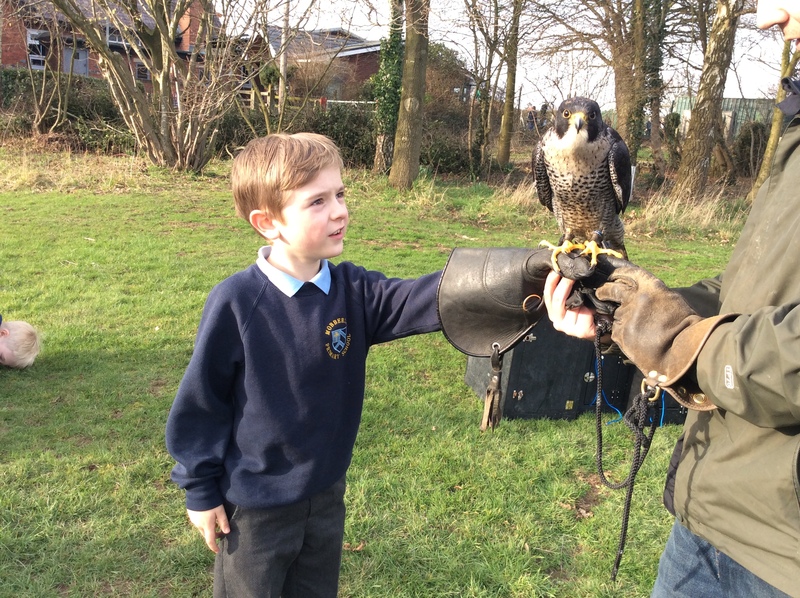 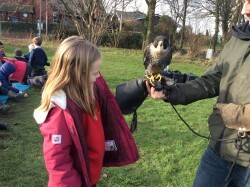 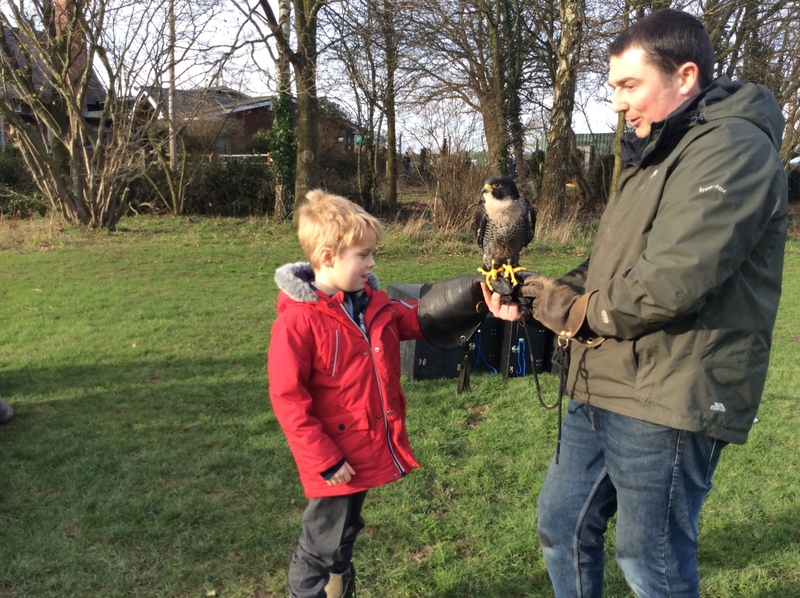 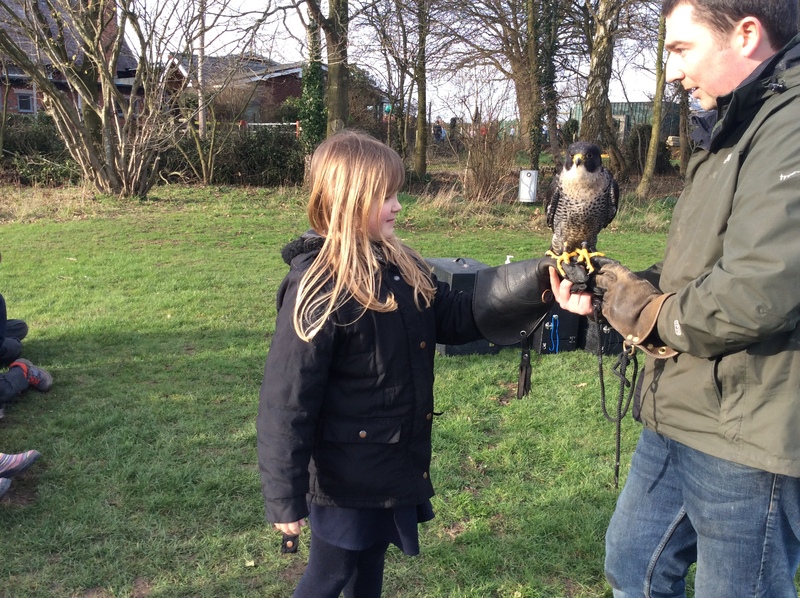 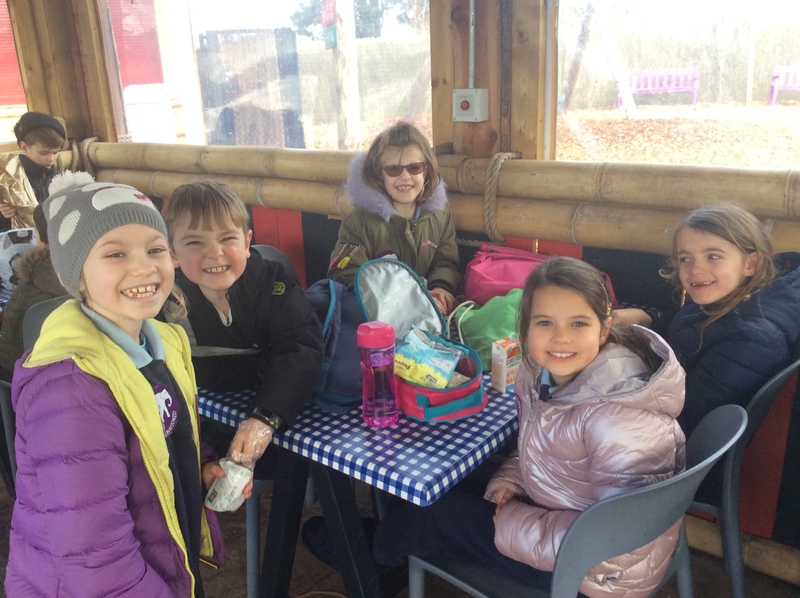 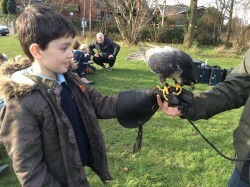 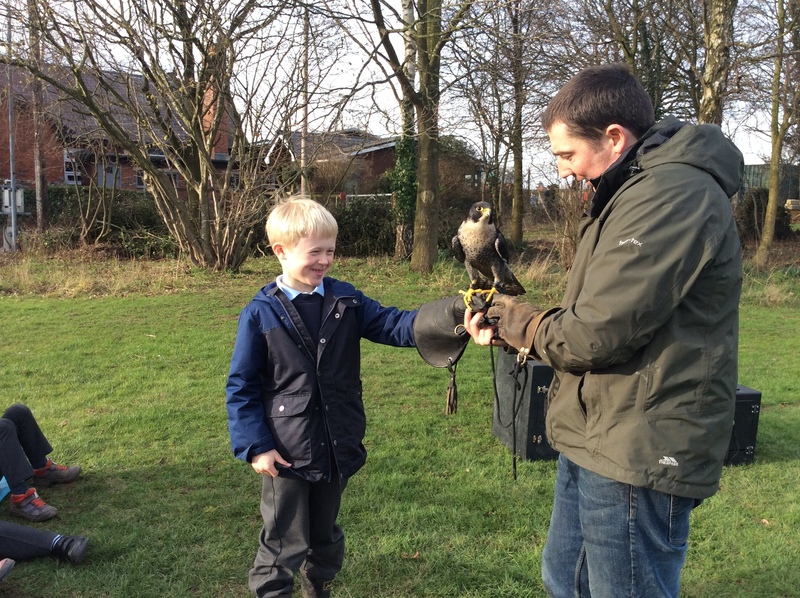 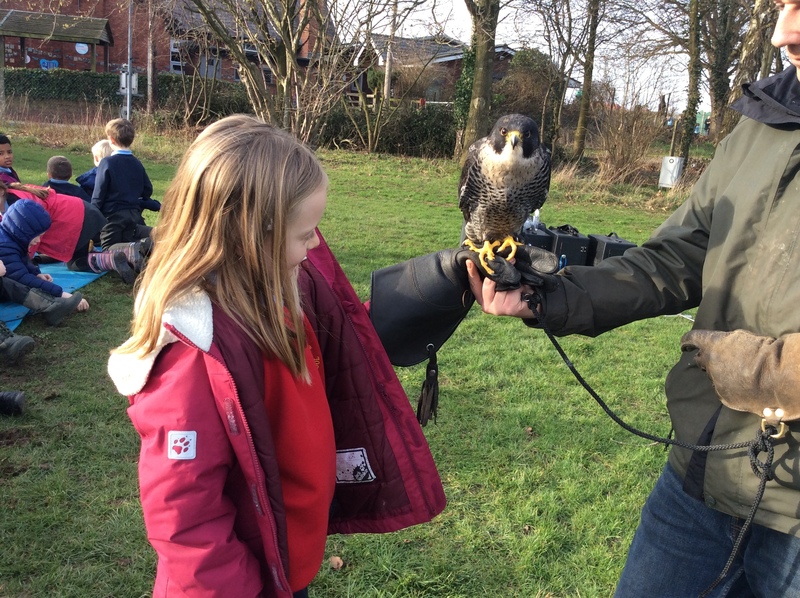 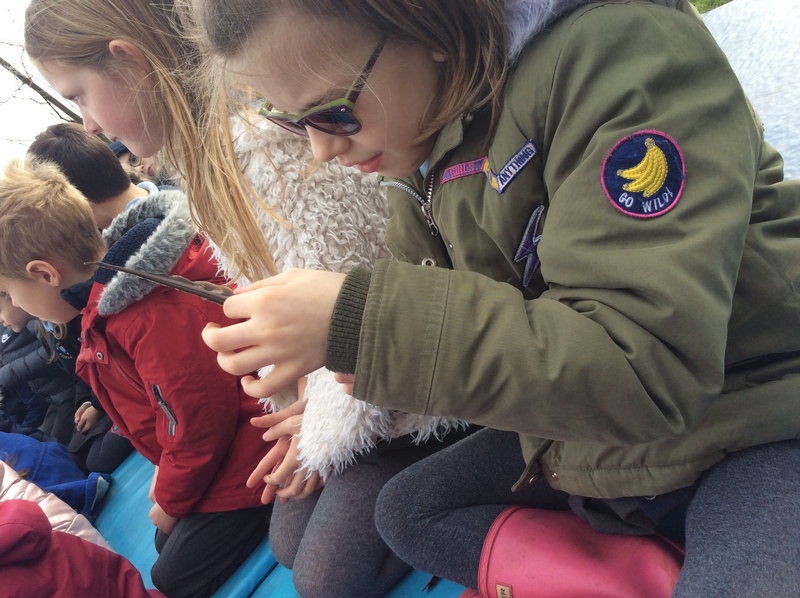 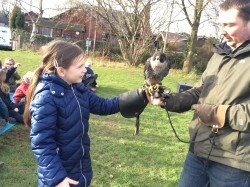 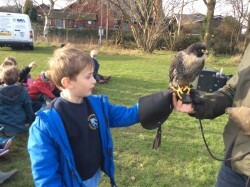 We have really enjoyed looking at different types of animals, learning about food chains and ‘apex predators’ and of course our visit from the birds of prey and our infamous trip to Chester Zoo! We wrote some fabulous non-chronological reports about tigers and really enjoyed reading ‘Dynasties’ by David Attenborough. 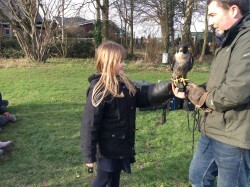 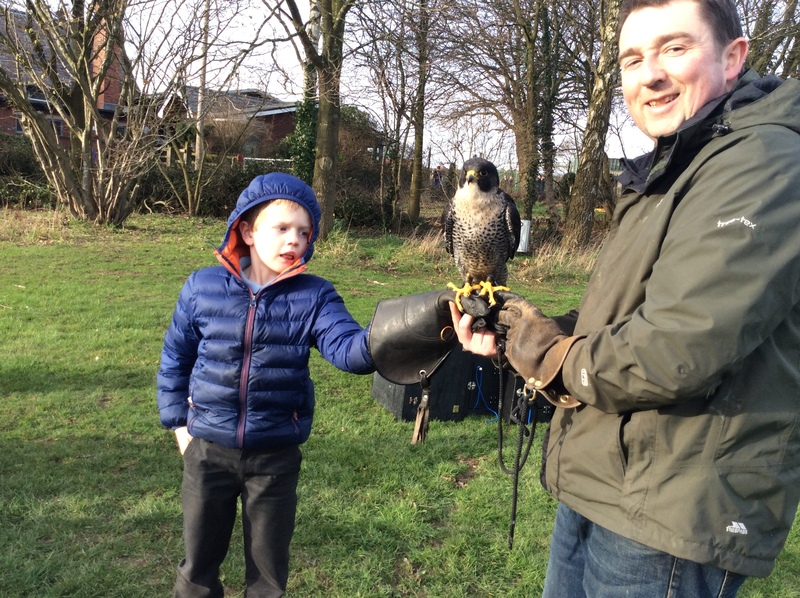 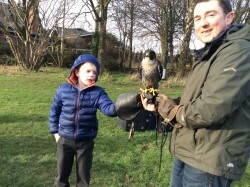 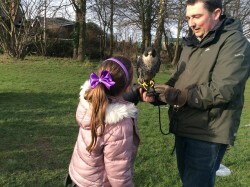 We had a visit from SMJ Falconry, who spoke to us all about different birds of prey and answered our amazing questions! 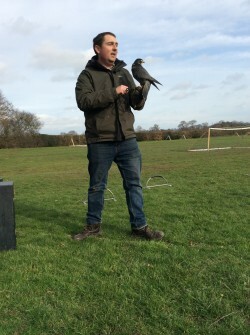 He brought some of the birds to show us- some even flew for us on the field! 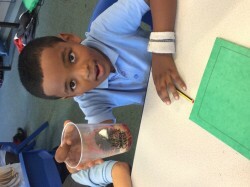 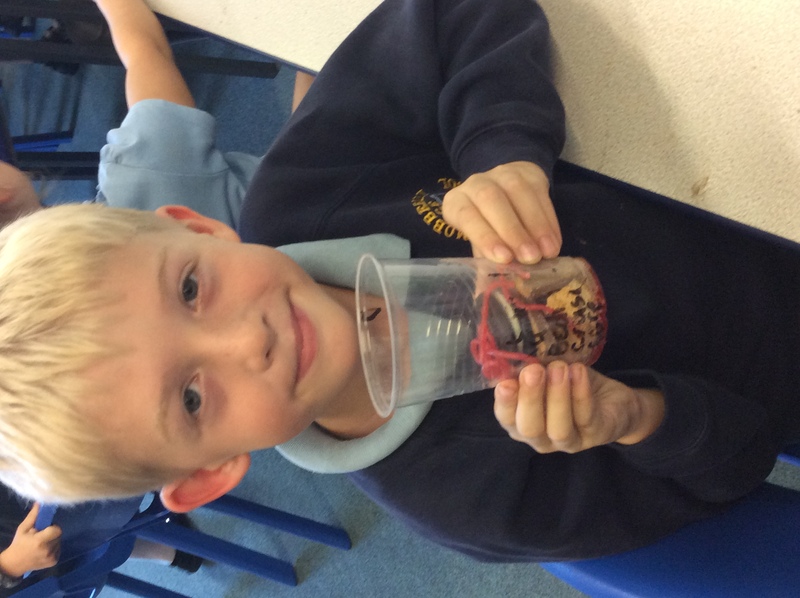 We have had such a brilliant time exploring our ‘Tremors’ topic this half term! 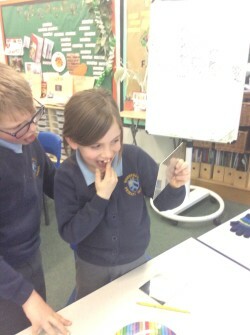 Thank you for all of your wonderful research and learning at home to support our new learning in class. You all managed to teach me something new! 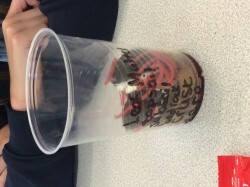 We explored the layers of the Earth and soil by using biscuit, oreos, wiggly worms, cocoa powder and even some strawberry ice cream sauce for the Earth’s core! 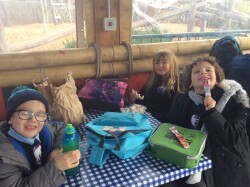 Then we took them home to eat- YUM! 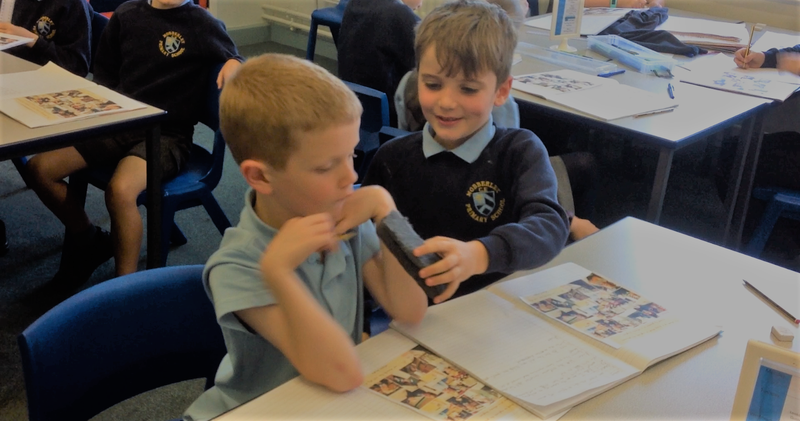 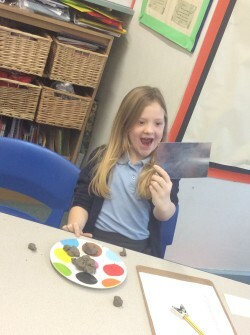 When we learnt about Pompeii and the eruption of Mount Vesuvius, we decided it was definitely news worthy, and became reporters for the afternoon! 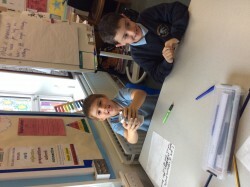 We wrote our own scripts for our news report (live from Pompeii) before videoing them together. 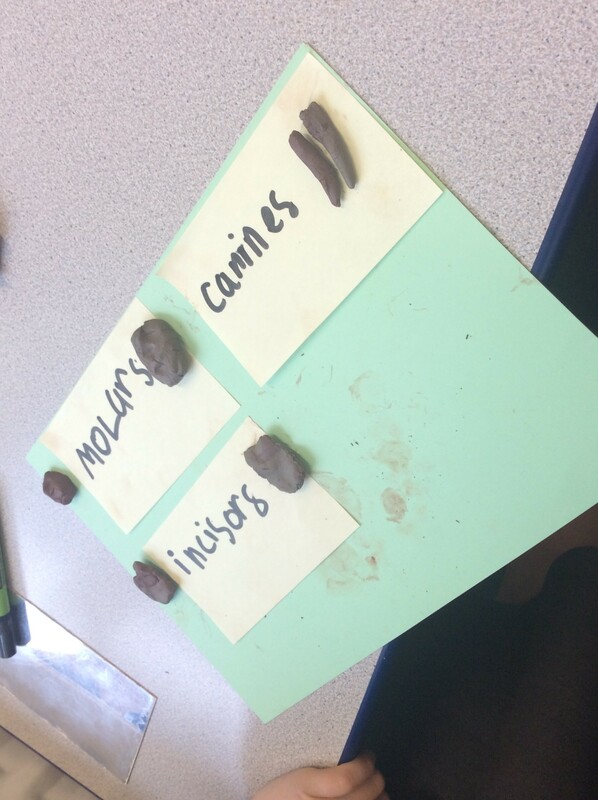 We wanted to explore how volcanoes erupted. 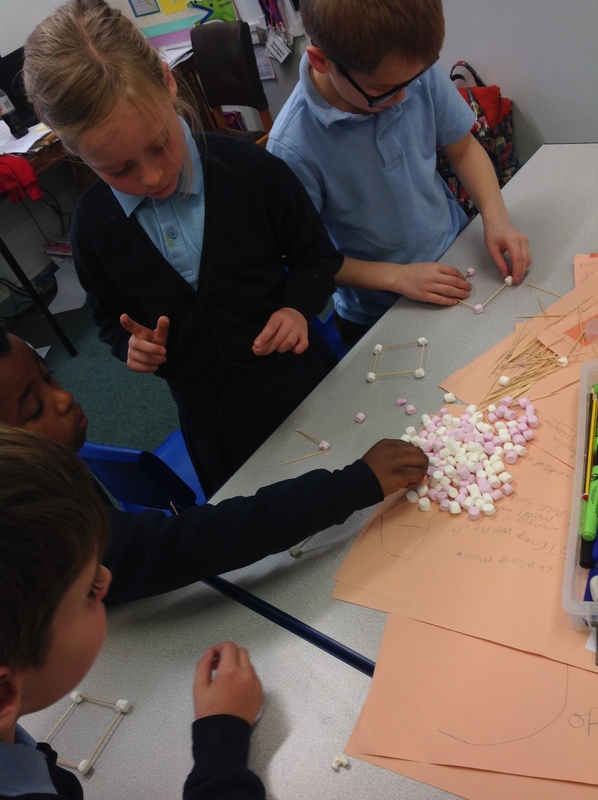 Our ideas ranged from them erupting because they ‘feel sick’ to them getting ‘far too hot’ and needing to explode! 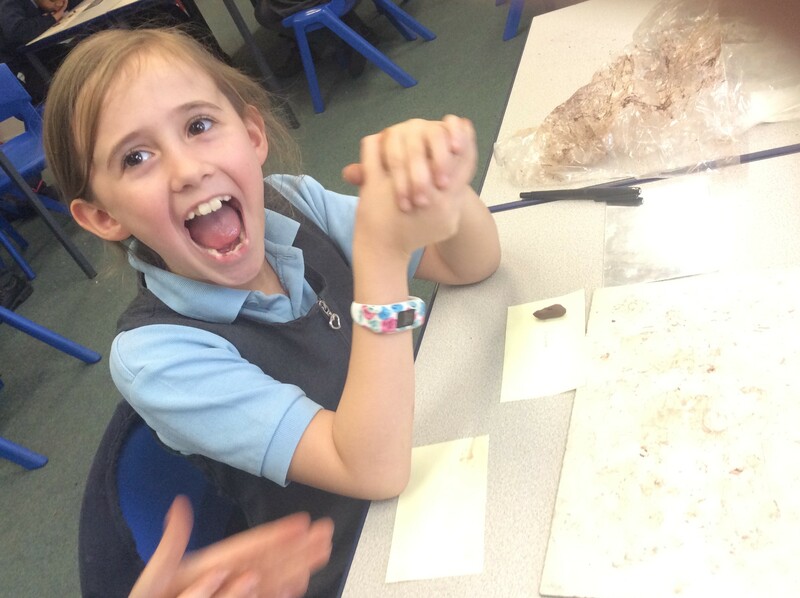 We discovered that they really erupt because the gas particles ‘bang together’ and have nowhere to go other than through the roof of the caldera! 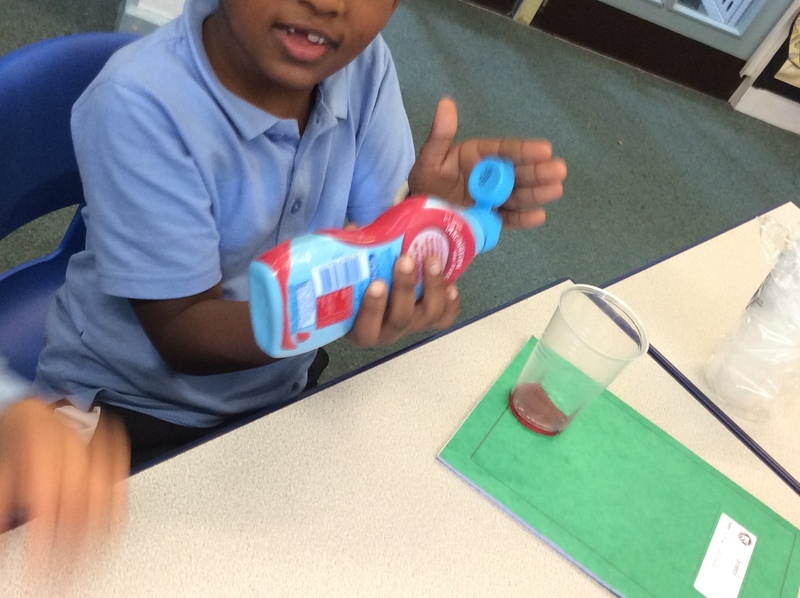 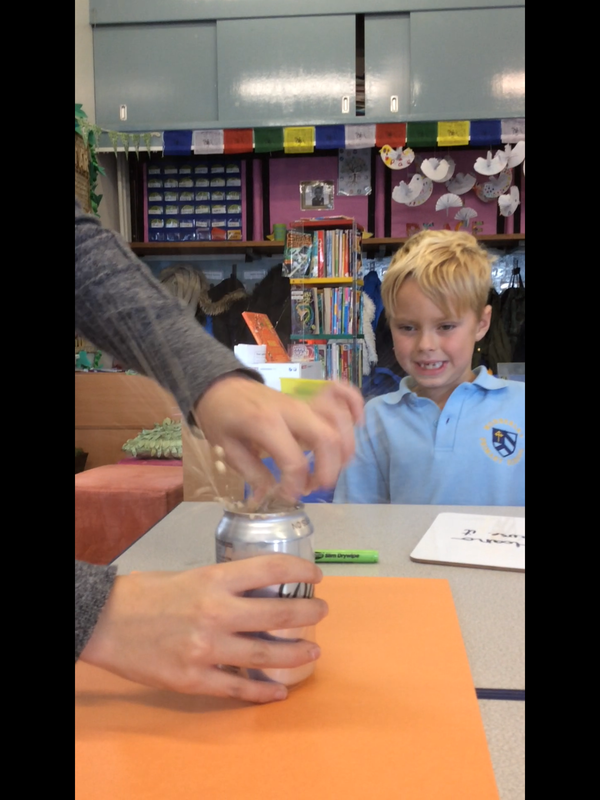 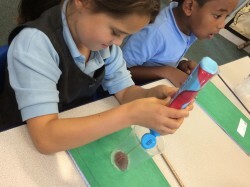 Year three had a brilliant time recreating this by shaking up a can of fizzy drink until the gasses had nowhere to go but… UP. 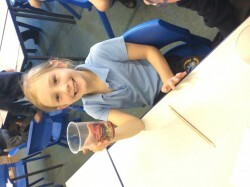 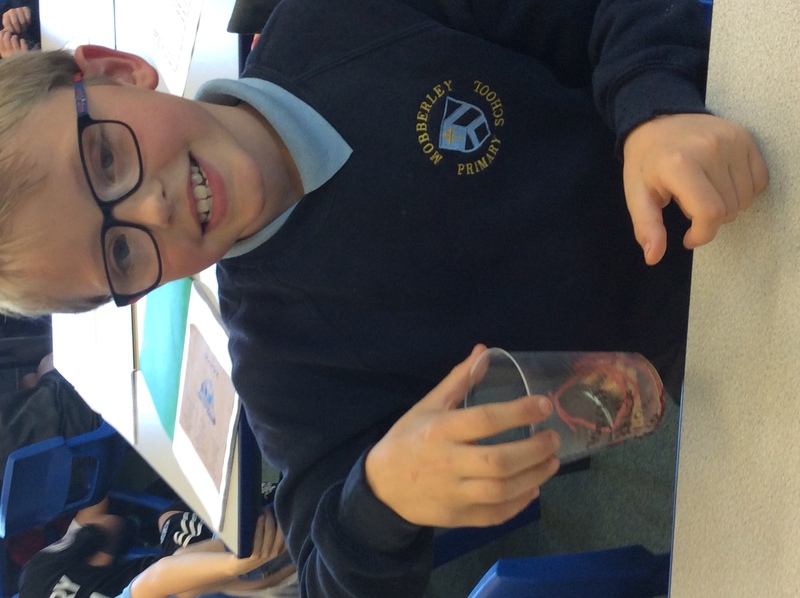 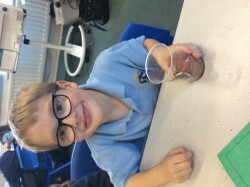 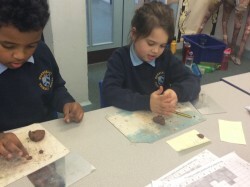 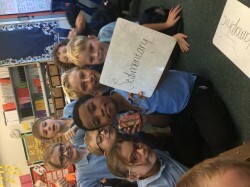 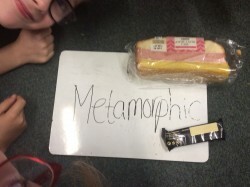 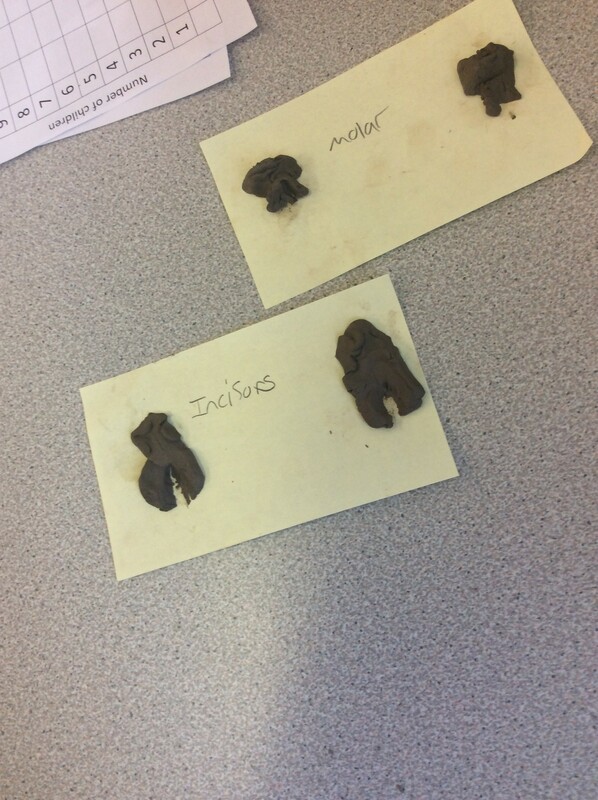 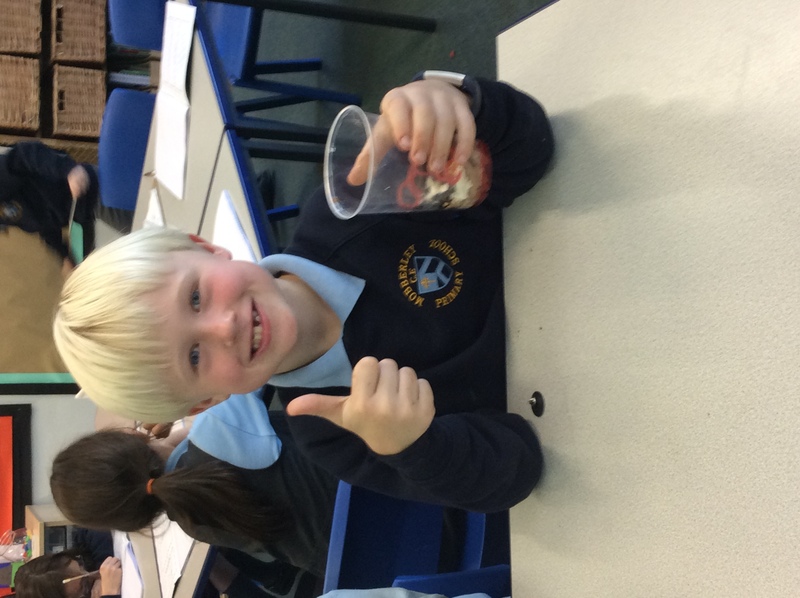 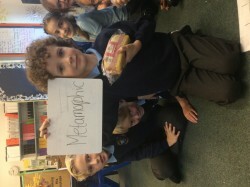 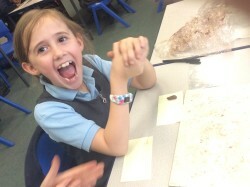 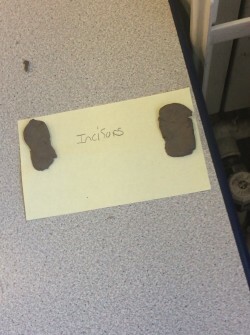 In Science, we’ve been looking at the properties of sedimentary, metamorphic and igneous rocks. 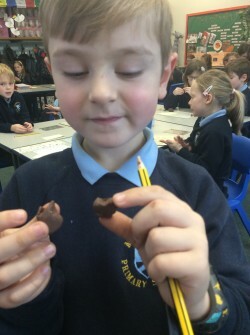 We sorted all of these different yummy treats into different rock types depending on their properties! 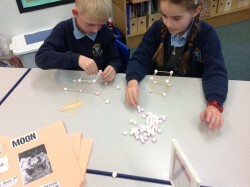 Year 3 saw the destruction created by several earthquakes around the world, and wanted to explore ways that we could create ‘earthquake proof’ buildings. 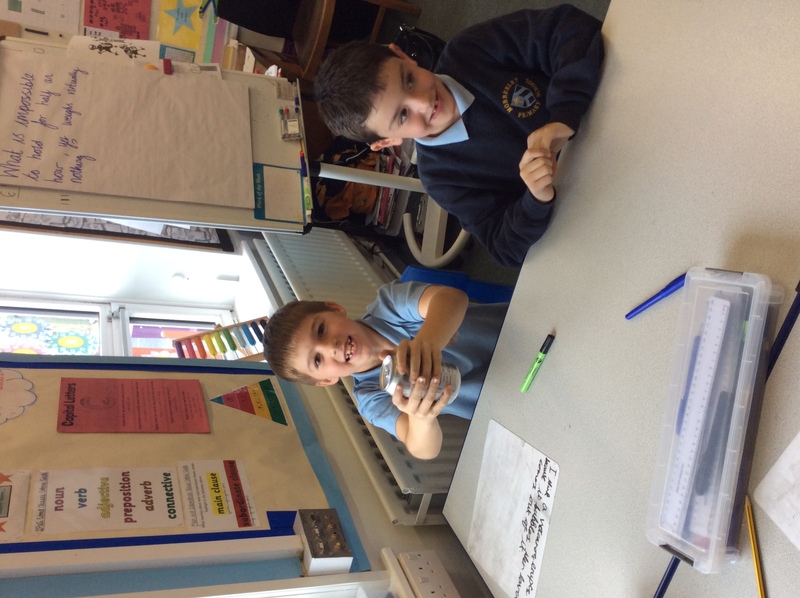 We spoke about using richter scales to measure the size of earthquakes and discussed the role of scientists who study earthquakes (seismologists). 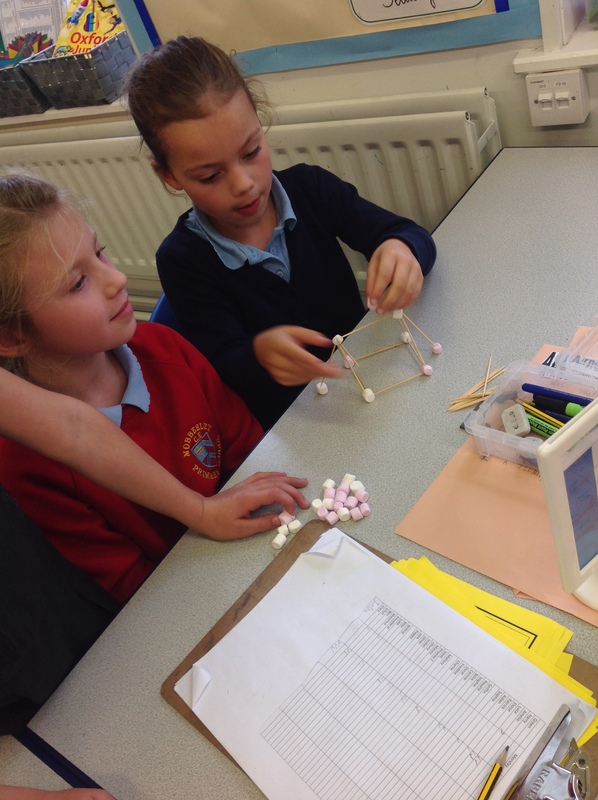 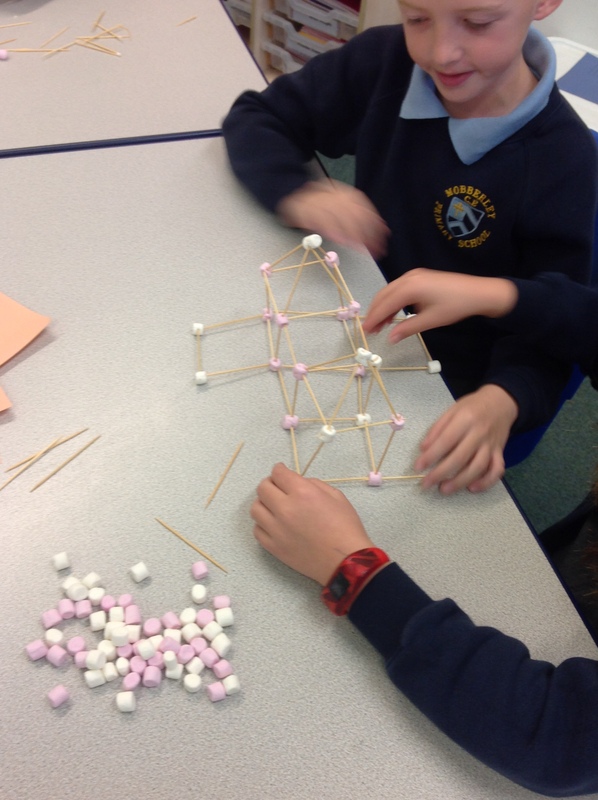 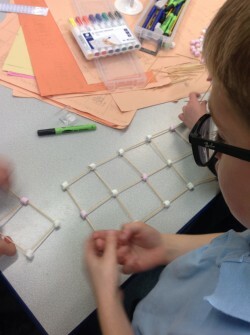 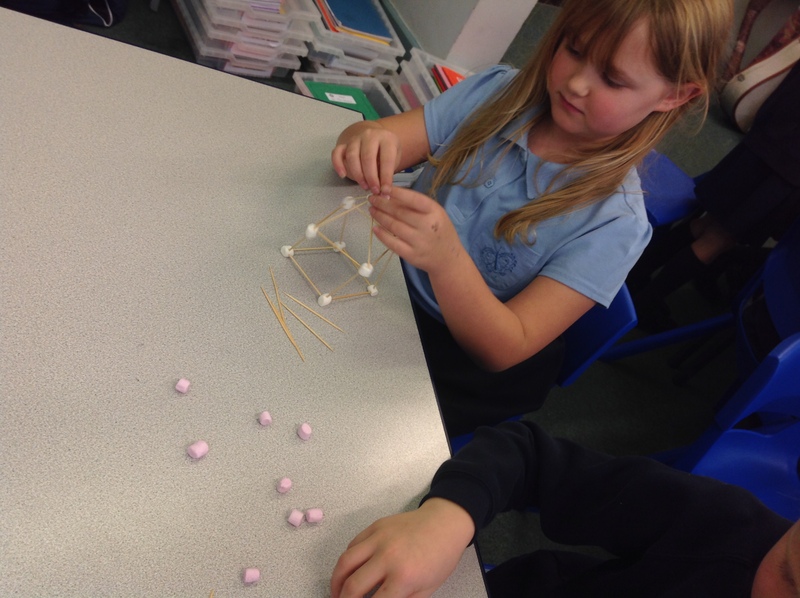 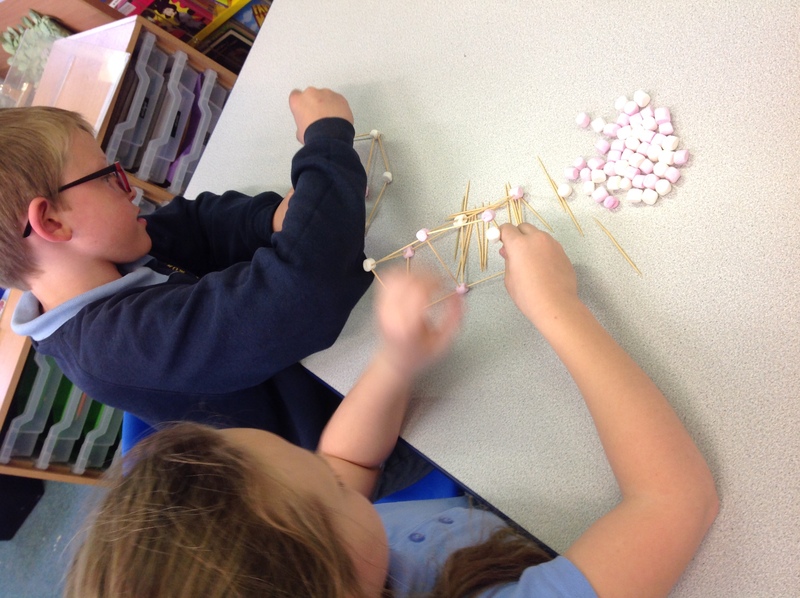 After this, we tried to create our own earthquake proof buildings with marshmallows and toothpicks before testing them with an earthquake in our classroom! In Year Three, we are not only geographers, scientists, writers, artists, mathematicians, historians, athletes (the list is endless! ), we are also fabulous philosophers. 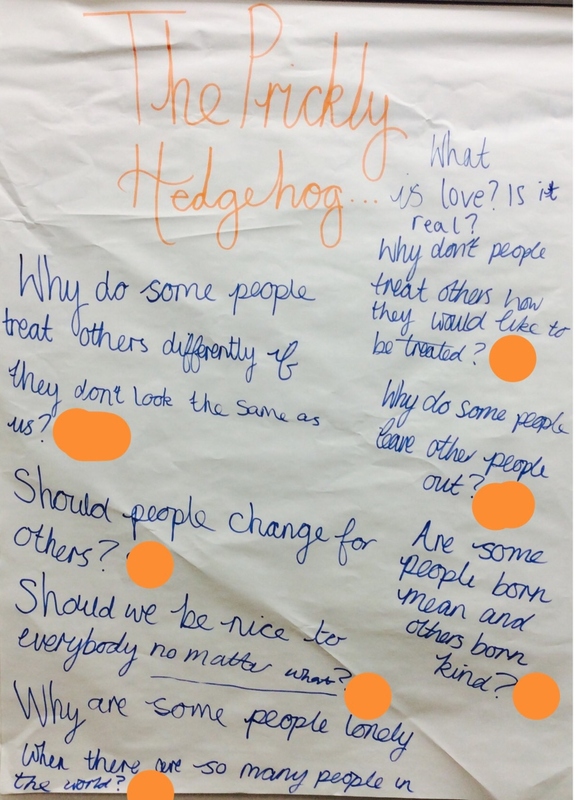 Today we watched a Christmas tale of a hedgehog who was so prickly that every time his friends tried to play with him they got hurt. 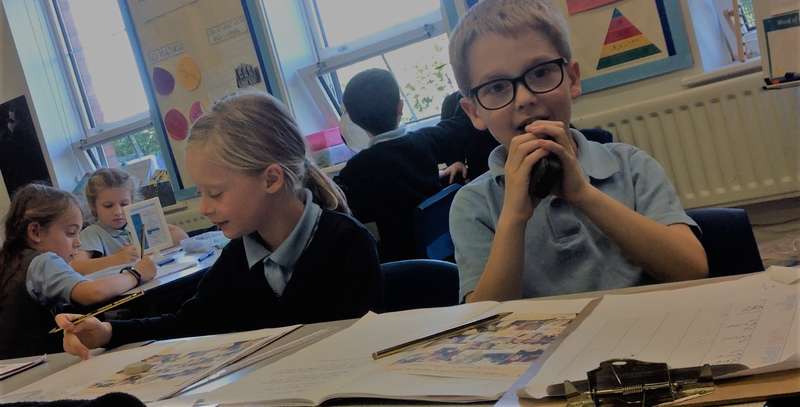 Throughout the clip, he gets lonely, wishing he could play with his friends like everybody else. 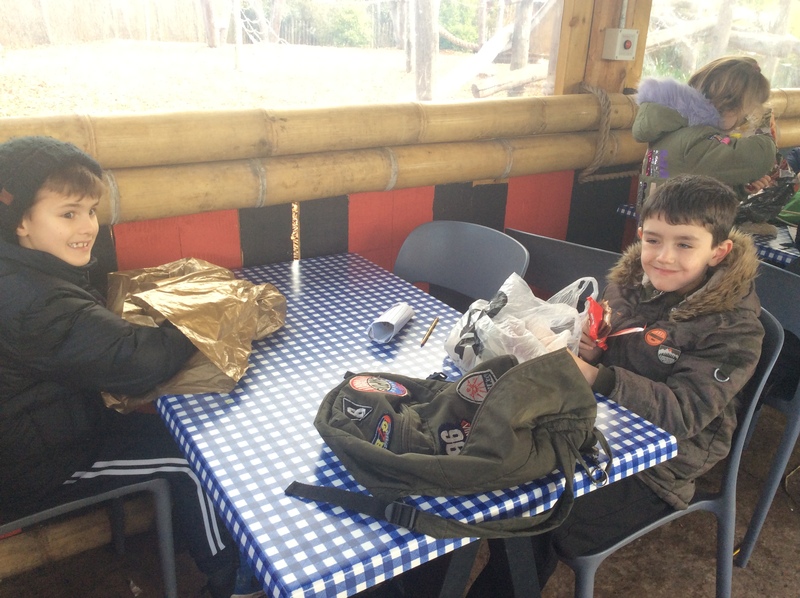 His friends have an idea to help him however, and surprise him with a Christmas present: some polystyrene to put on the end of his spikes so that his friends can hug him without being hurt! 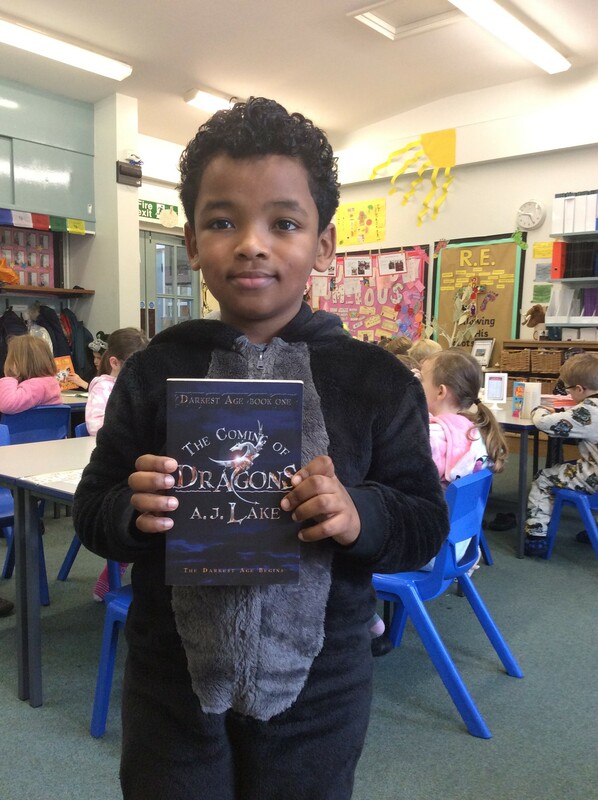 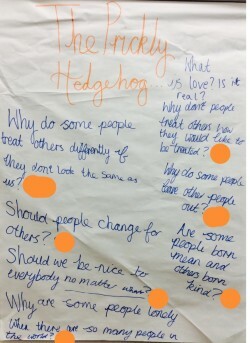 Have a look at our fantastic philosophical questions and click the link below to watch the story.